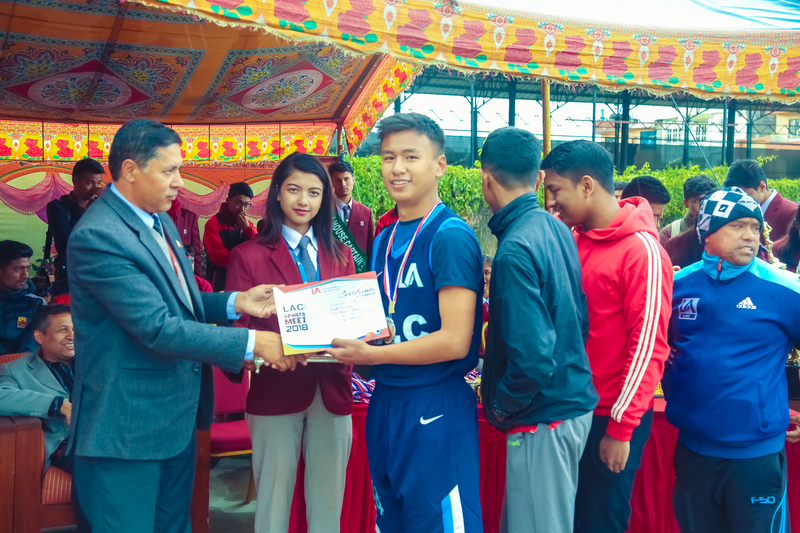 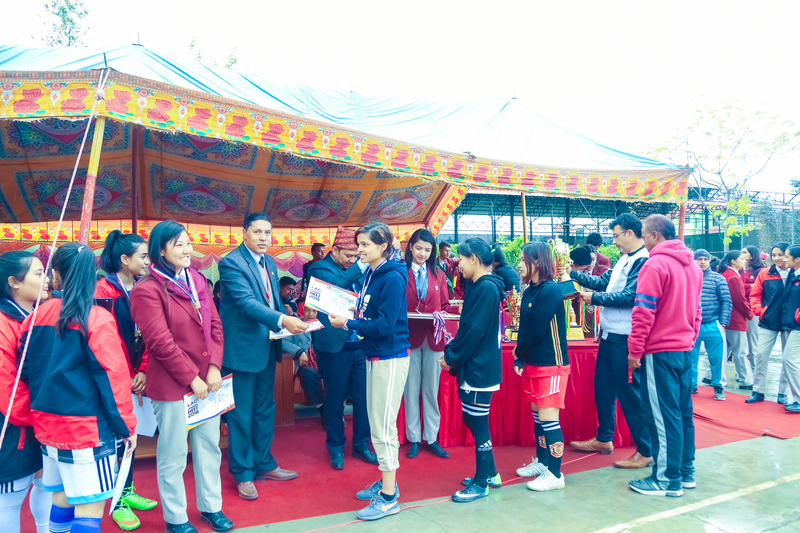 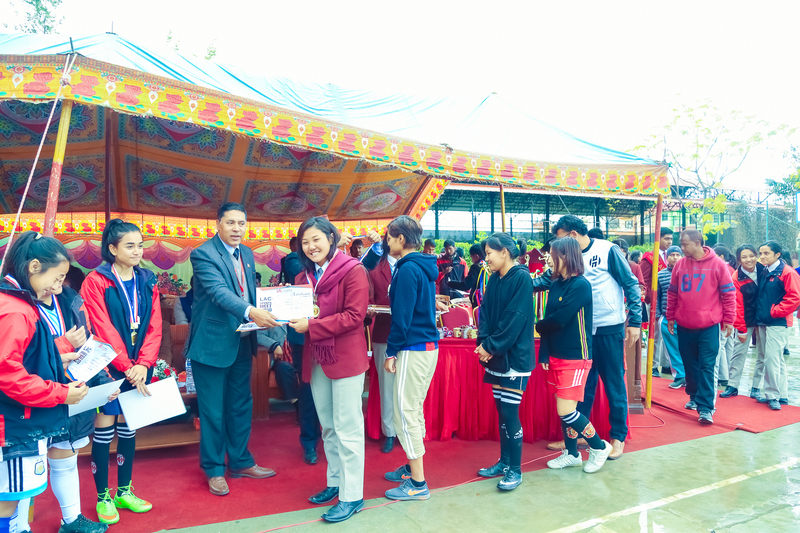 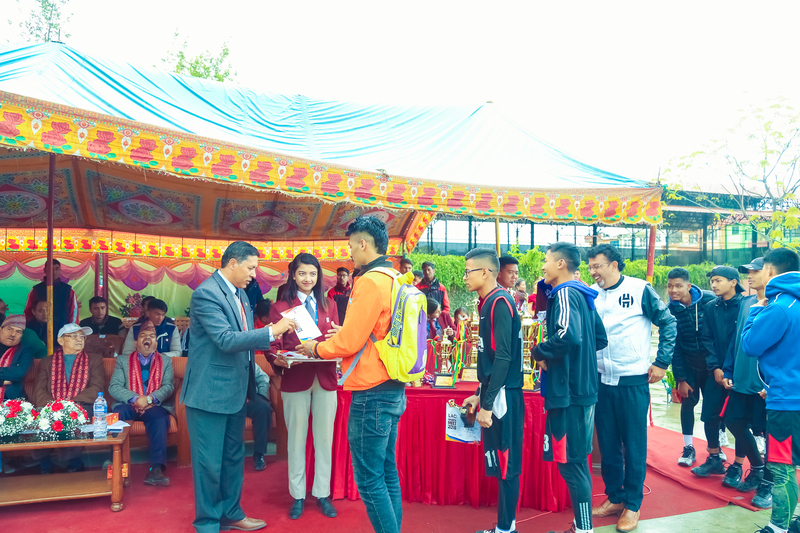 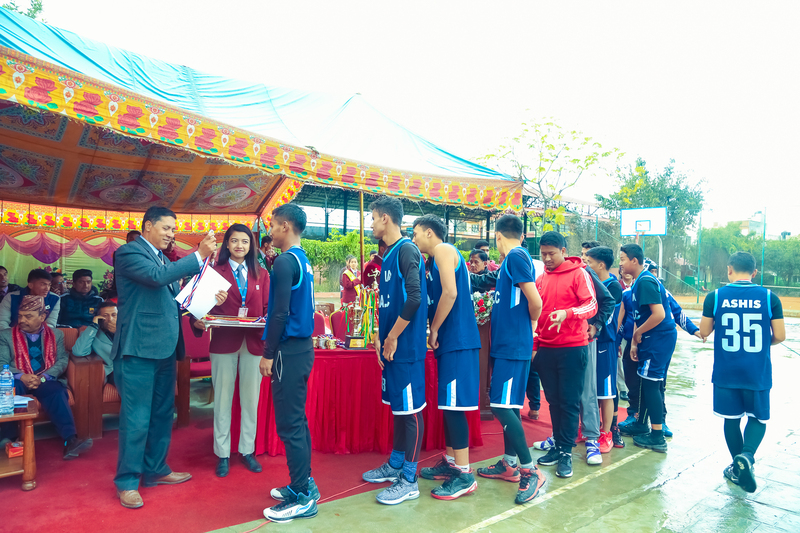 The LAC SPORTS MEET 2018 was a brilliant platform for the best athletic skills to be showcased in an event of such a great caliber with the participation of almost thirty colleges. 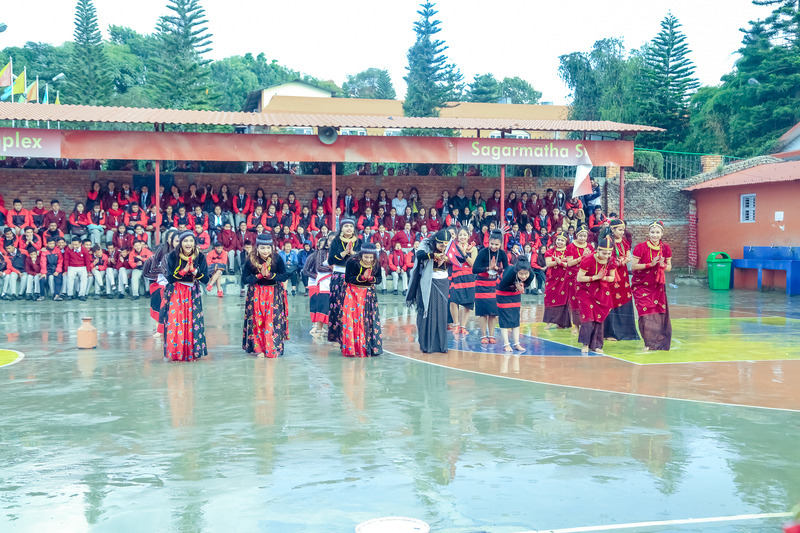 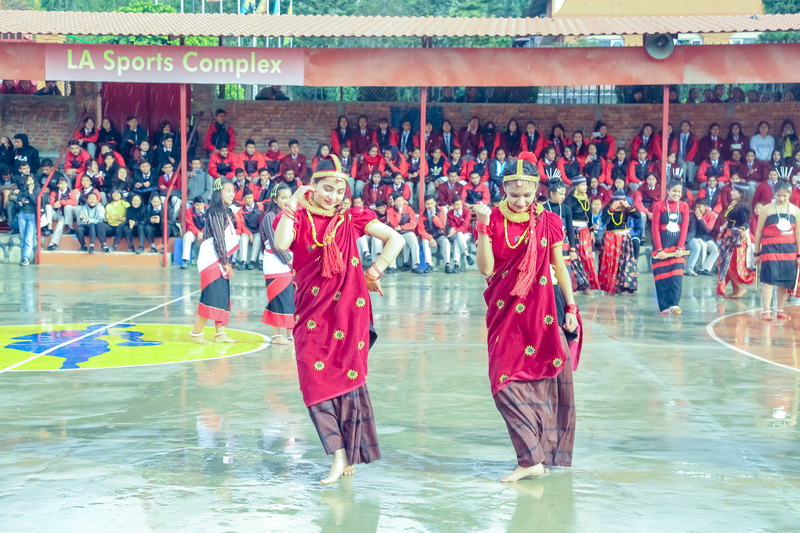 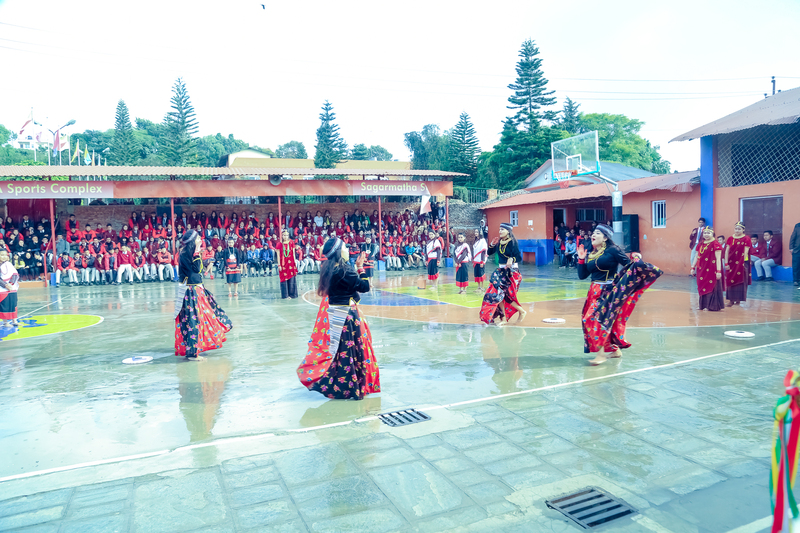 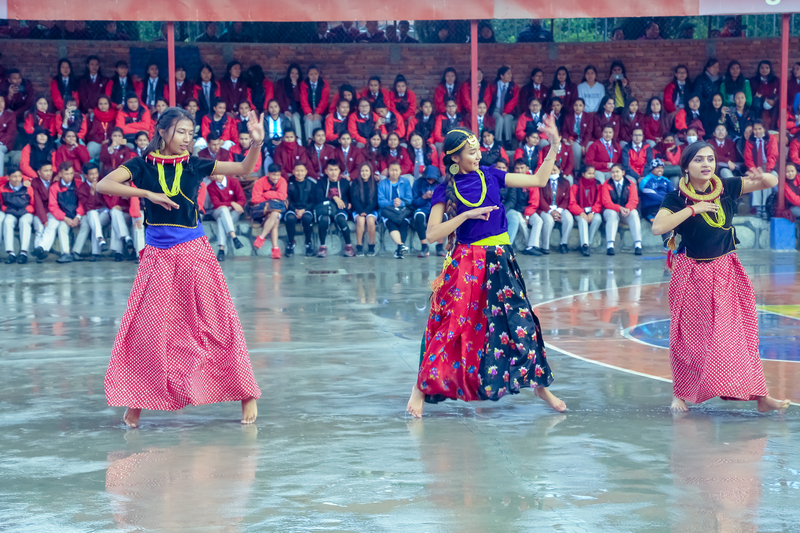 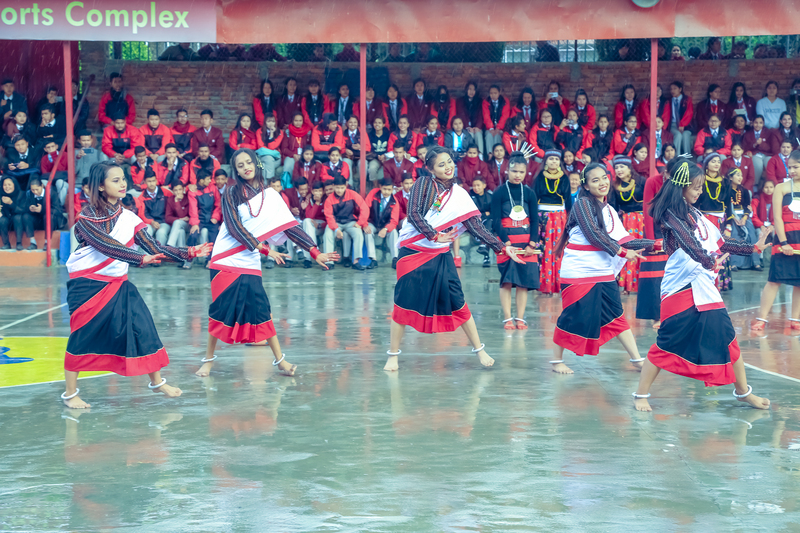 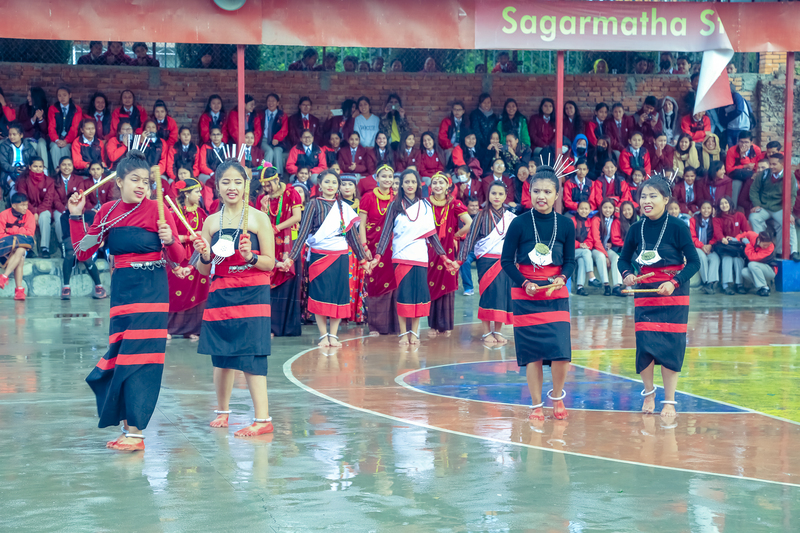 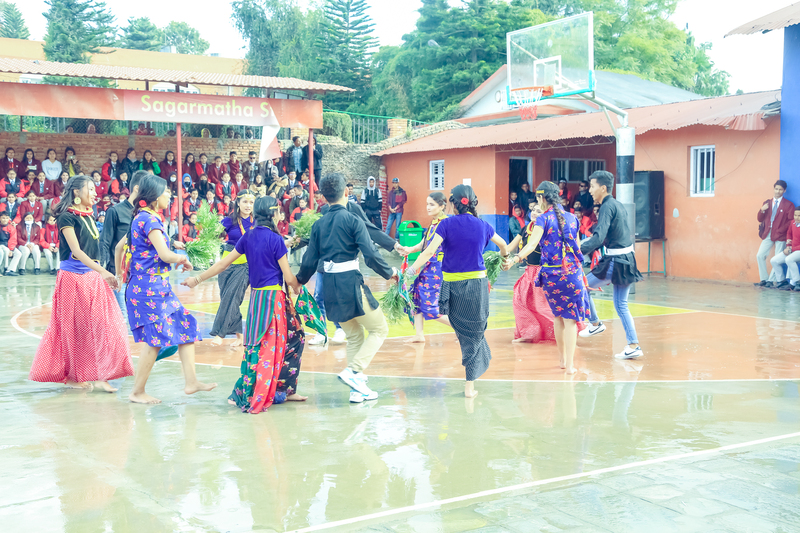 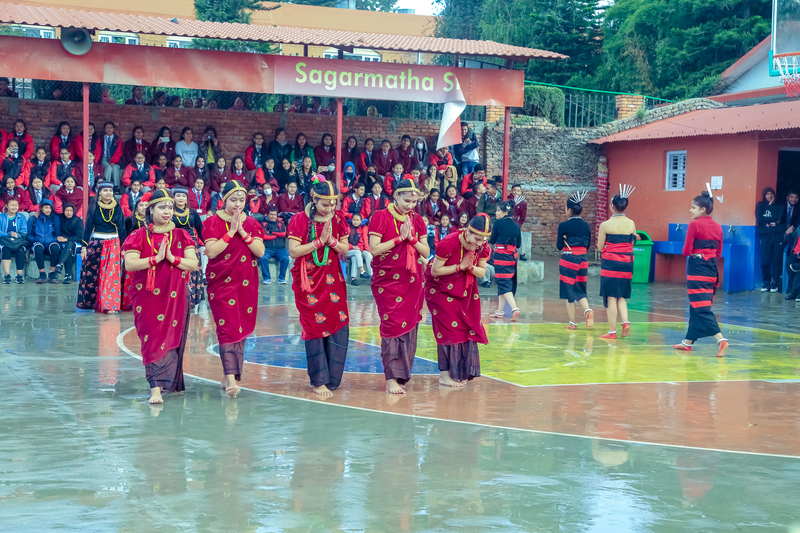 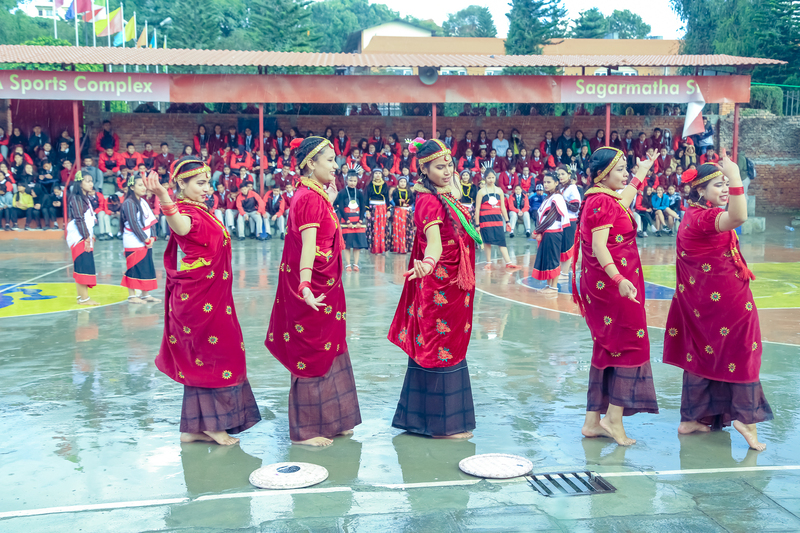 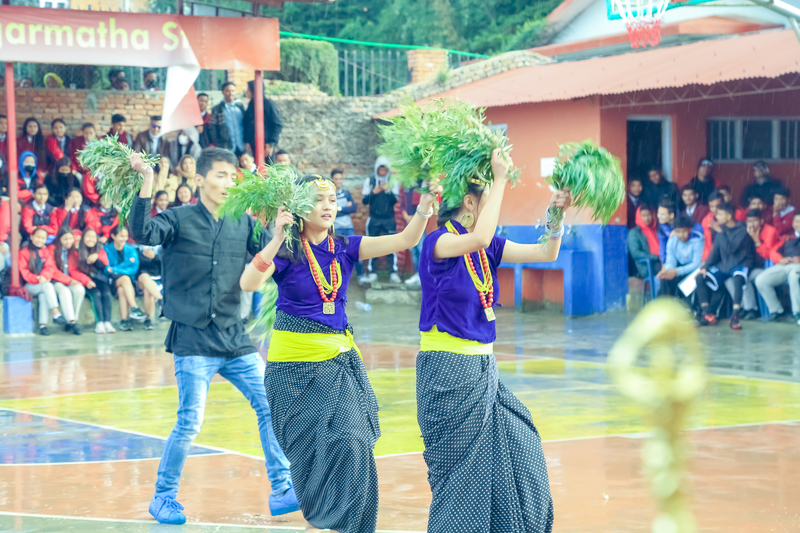 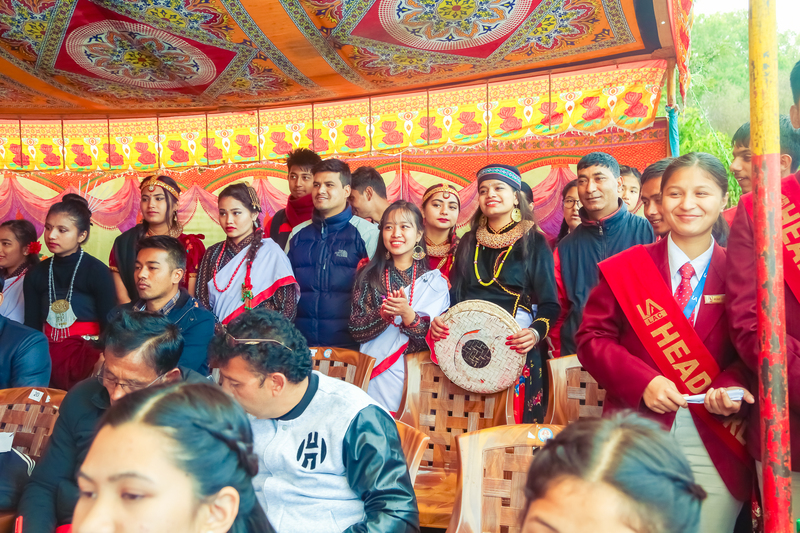 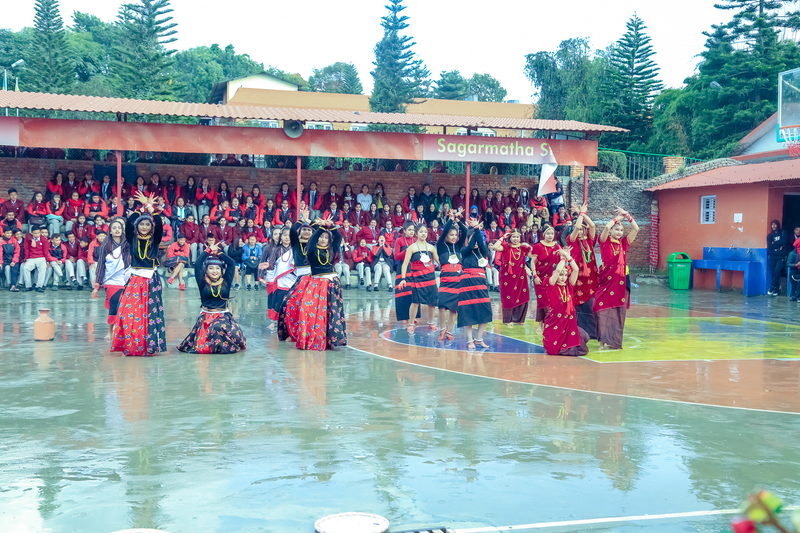 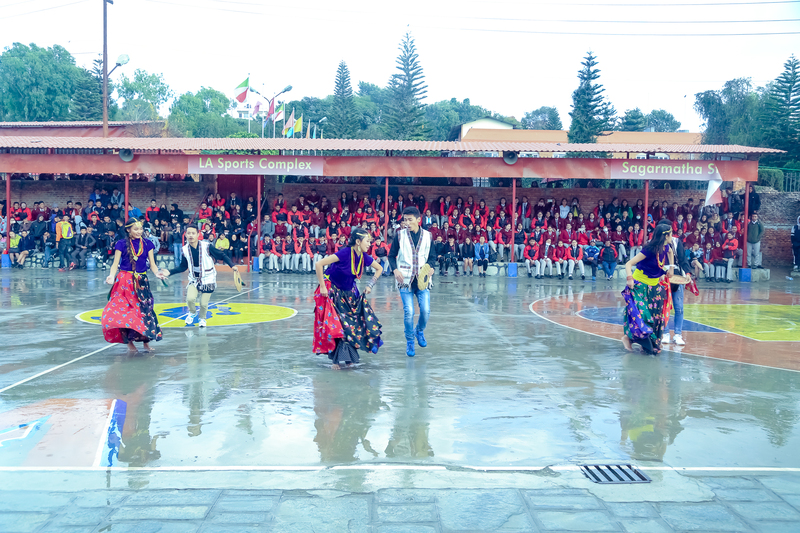 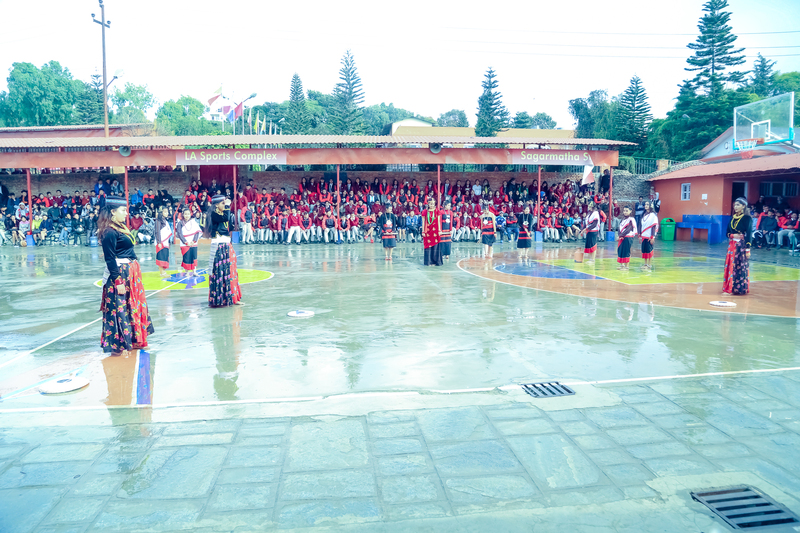 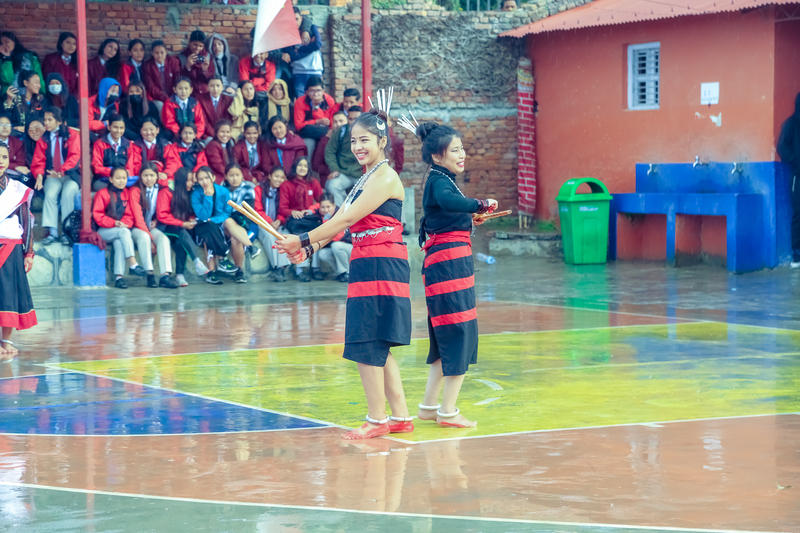 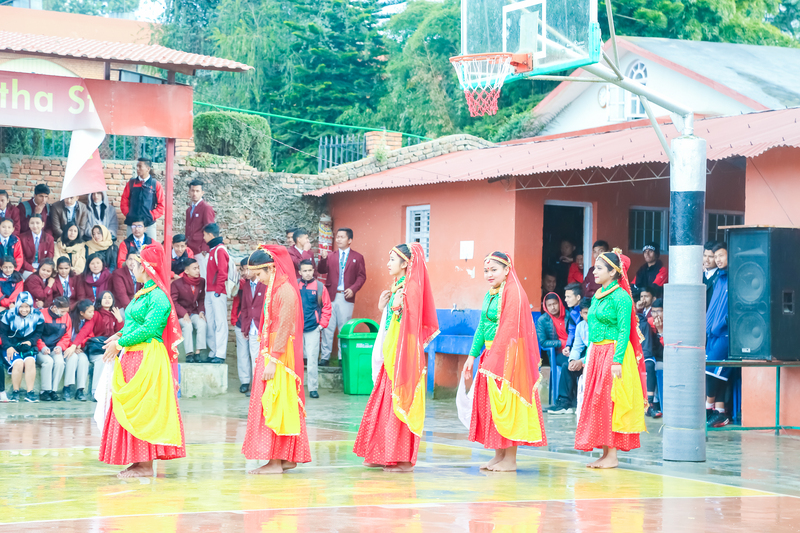 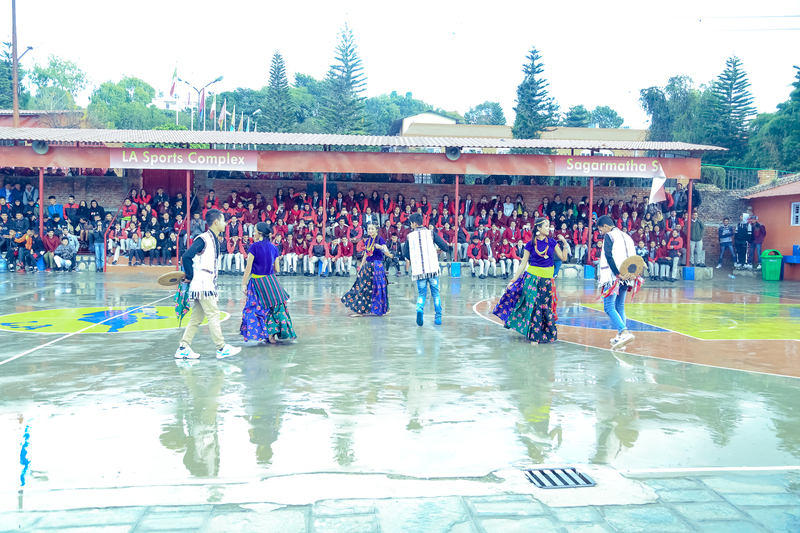 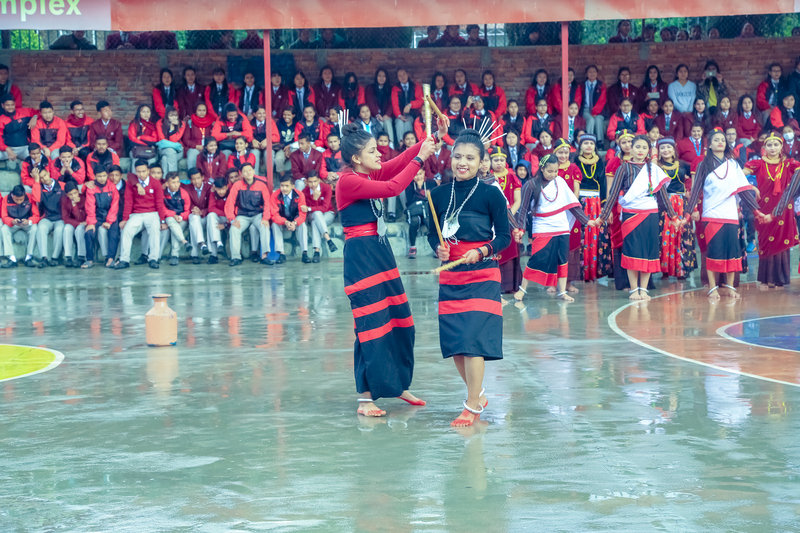 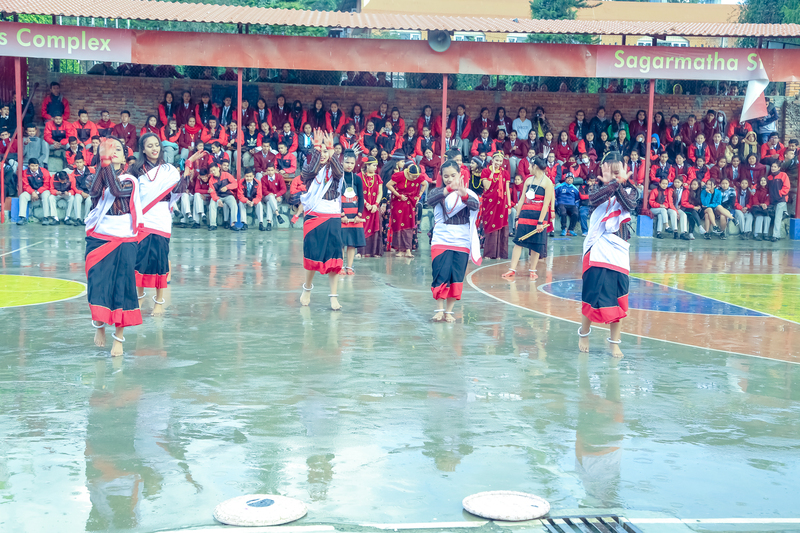 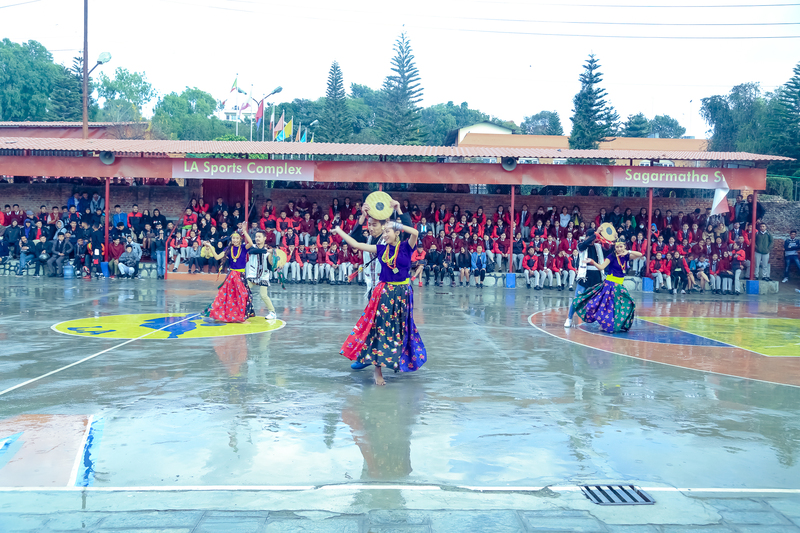 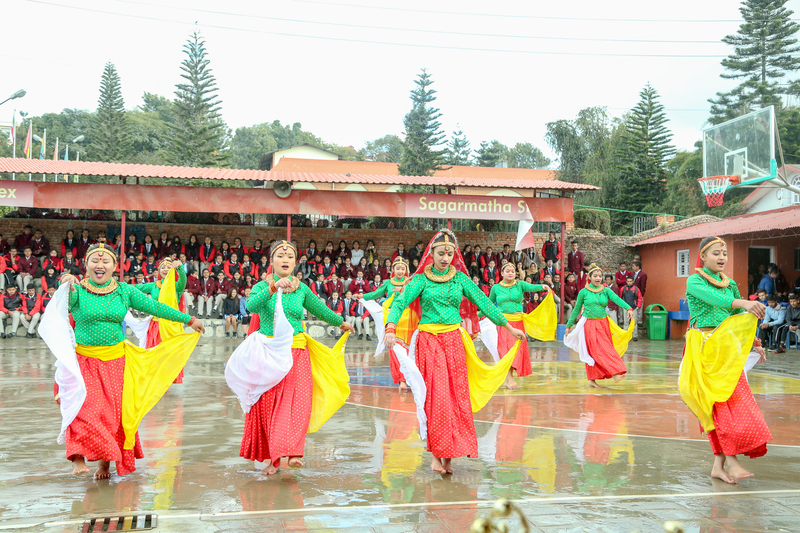 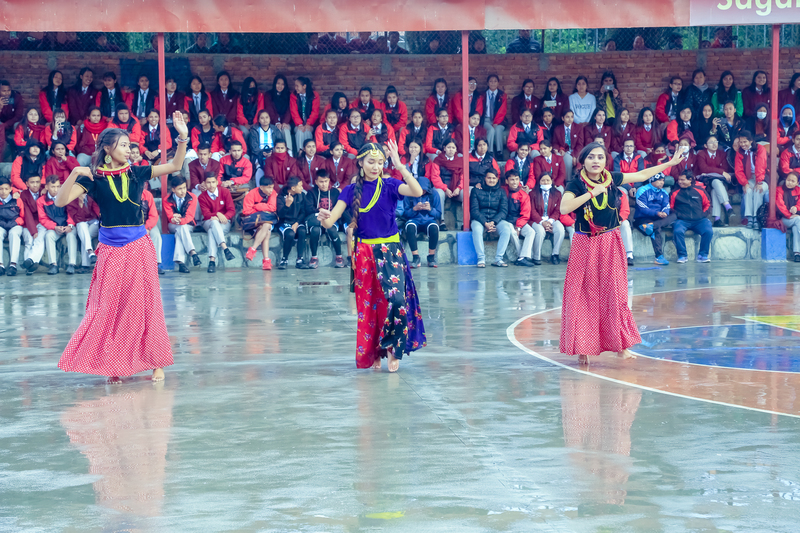 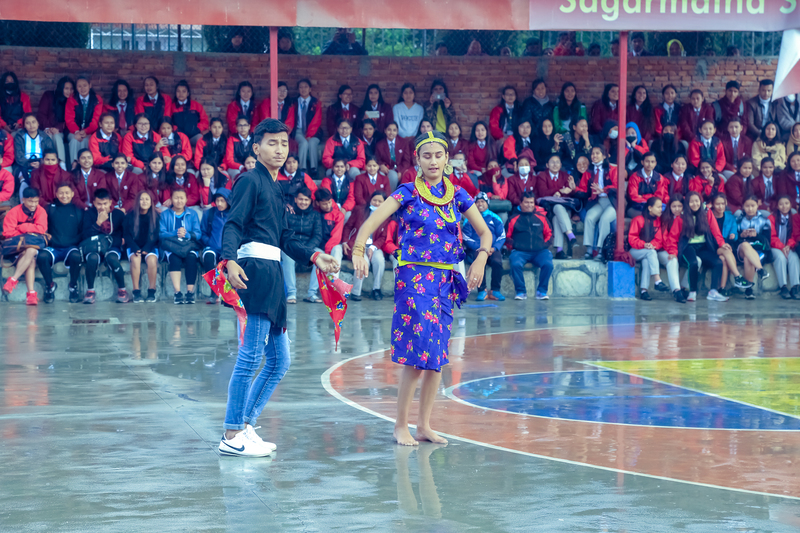 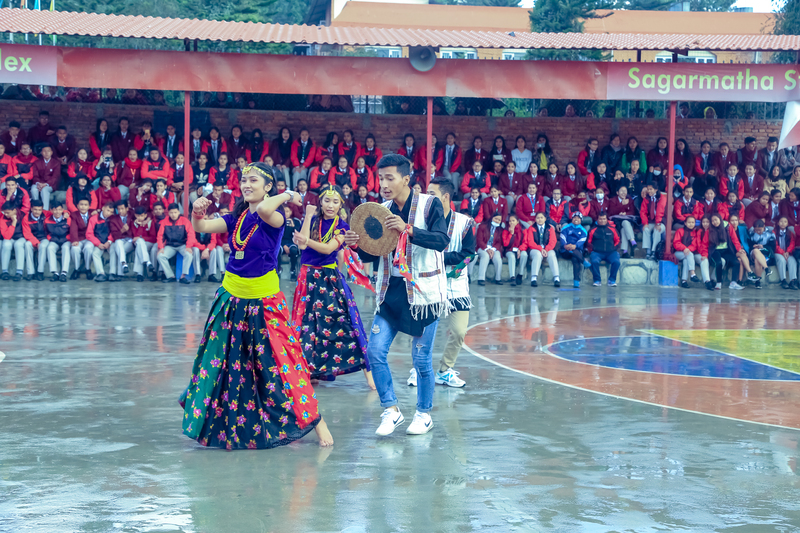 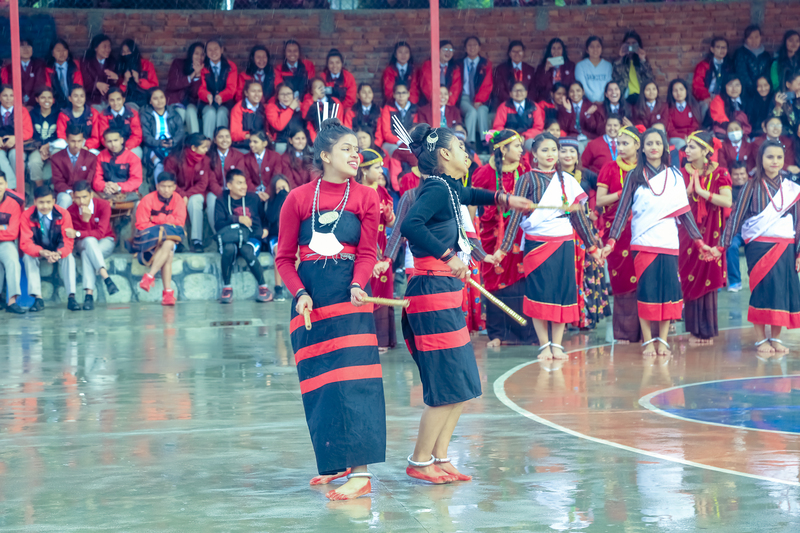 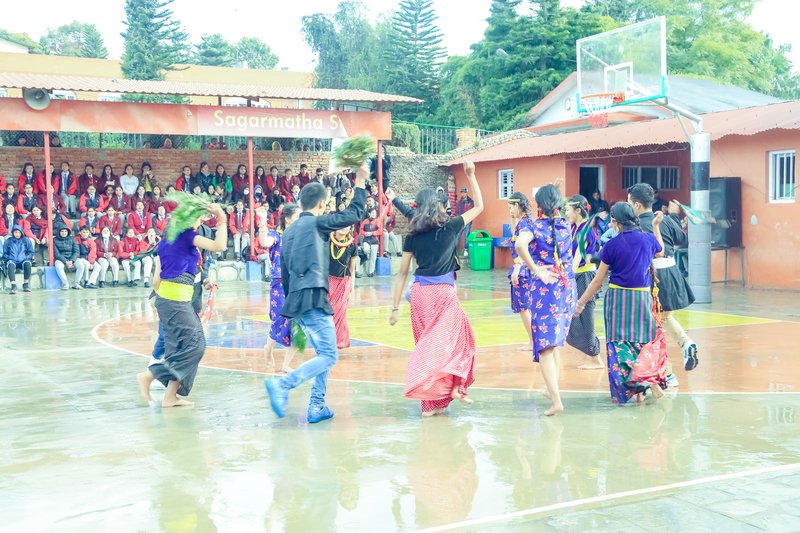 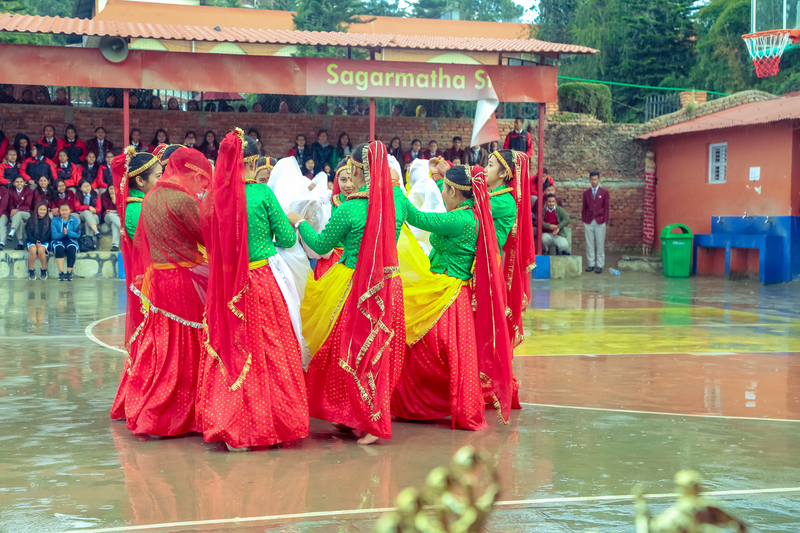 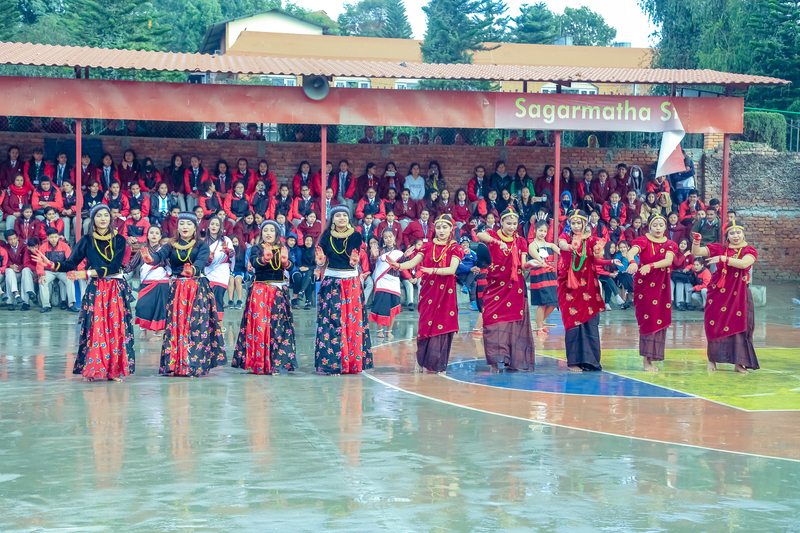 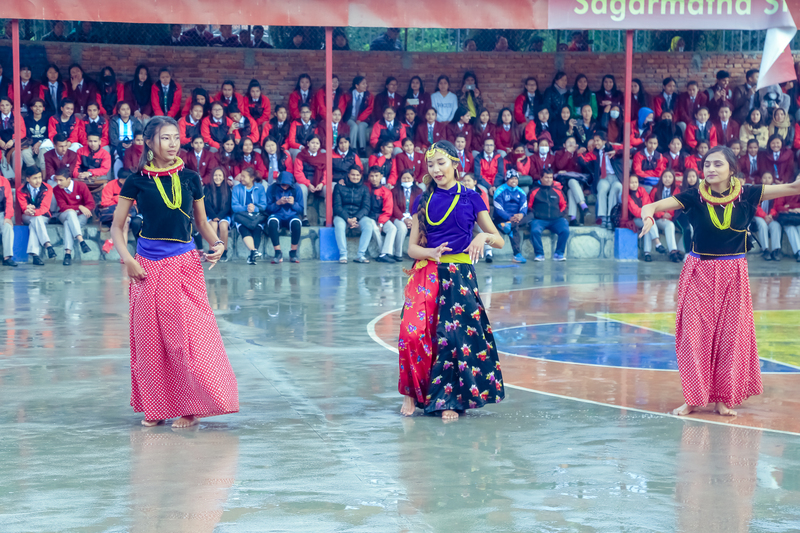 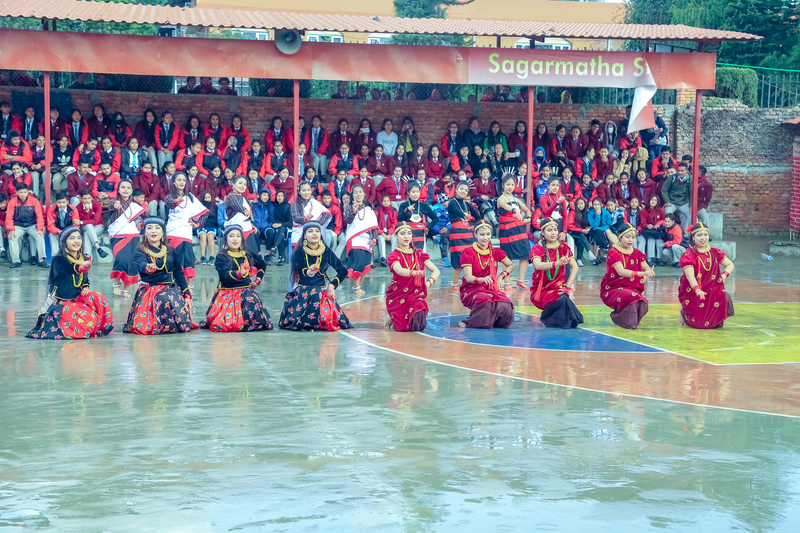 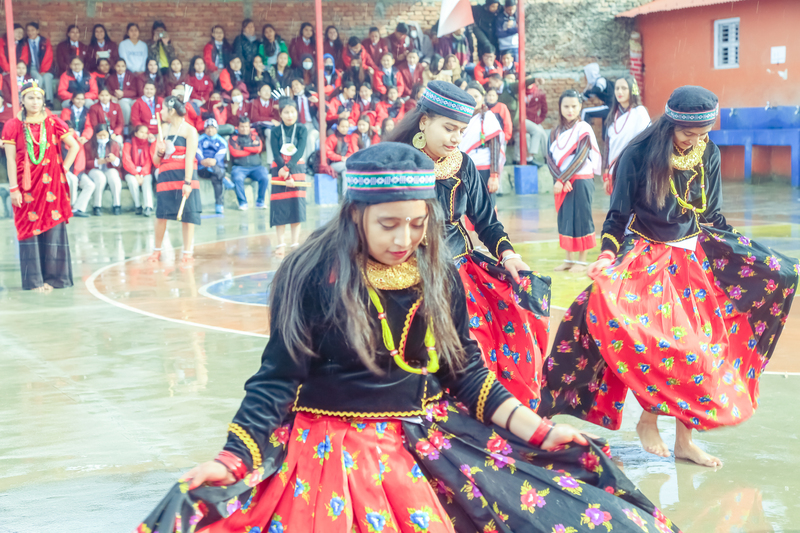 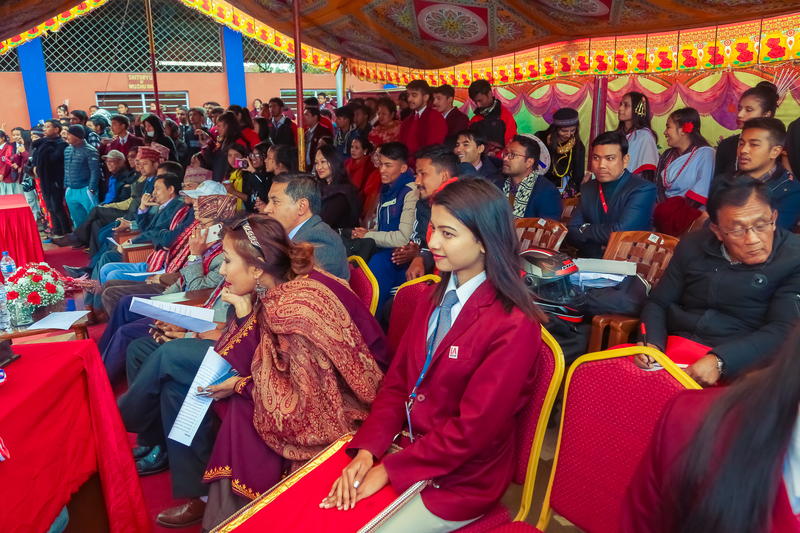 The closing ceremony witnessed a vibrant, colorful collection of traditional dances followed by a prize distribution ceremony. 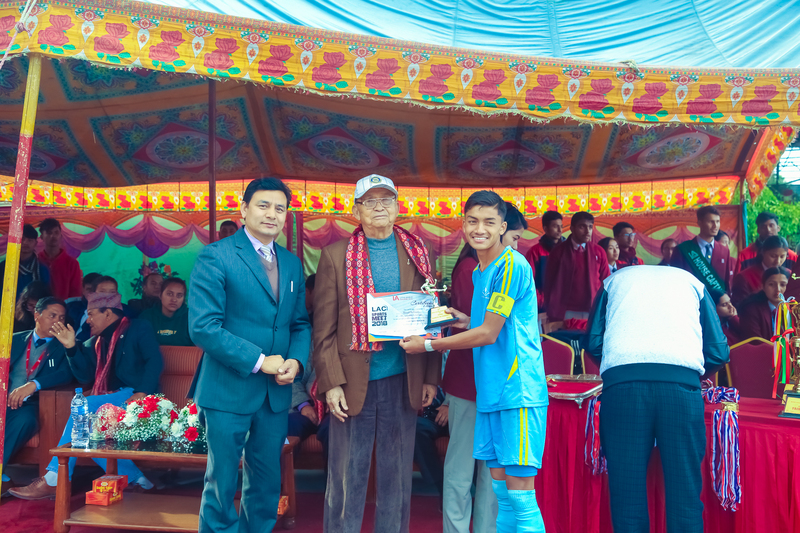 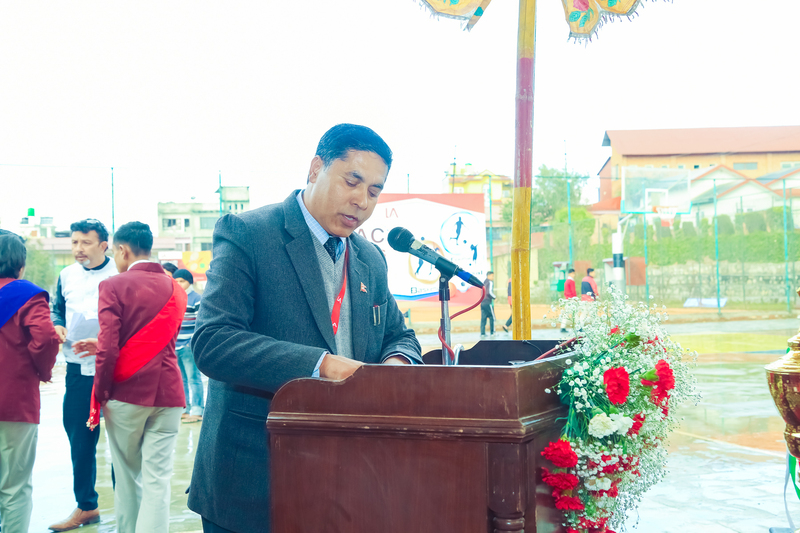 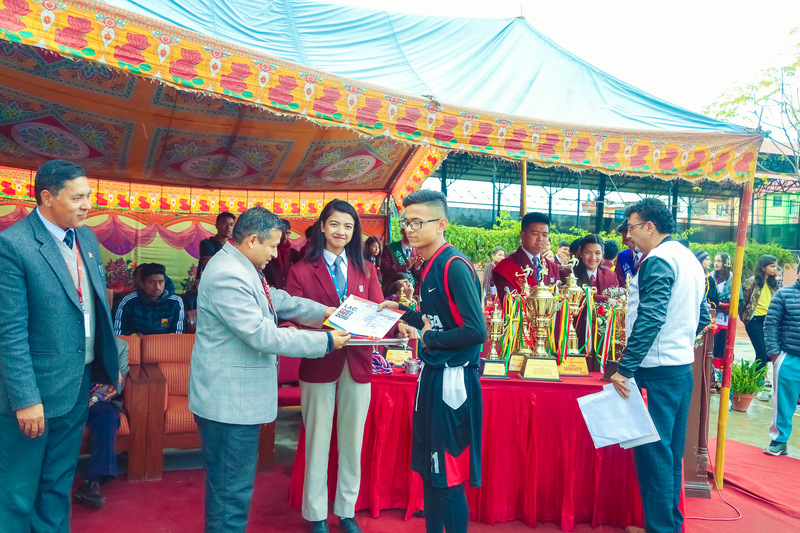 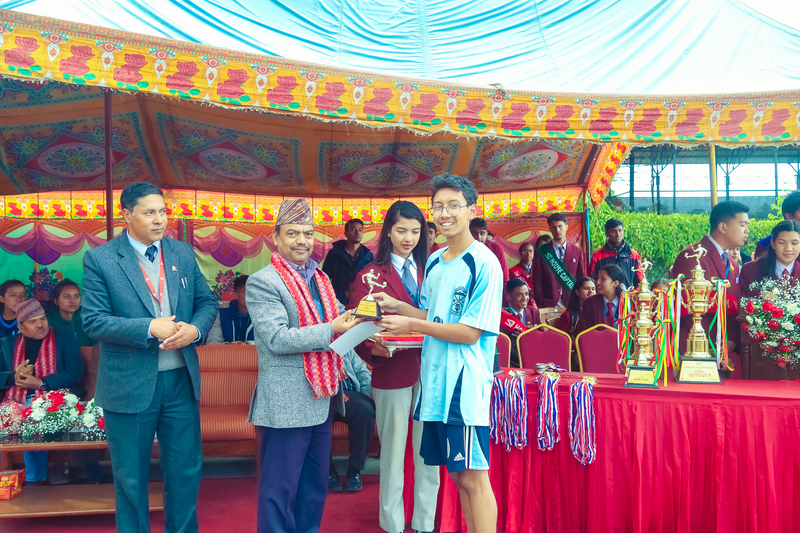 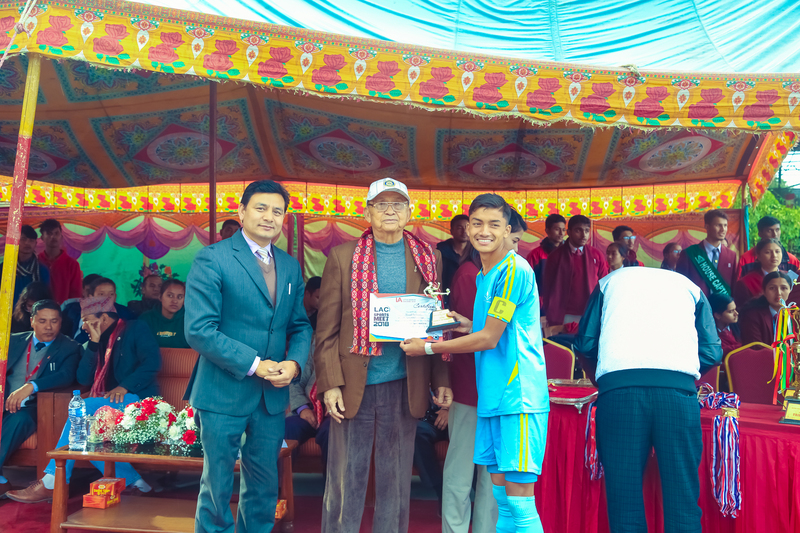 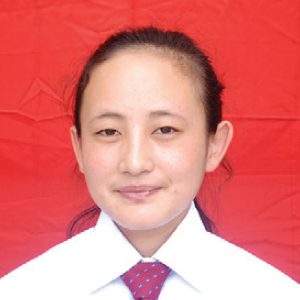 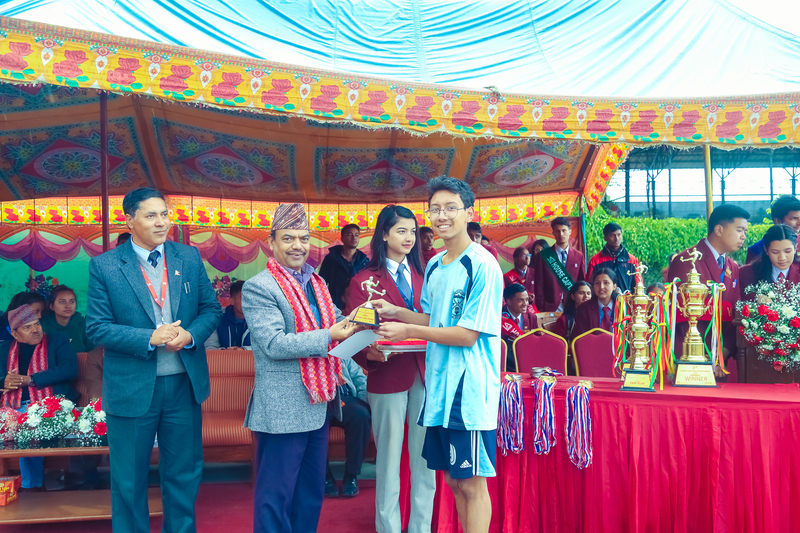 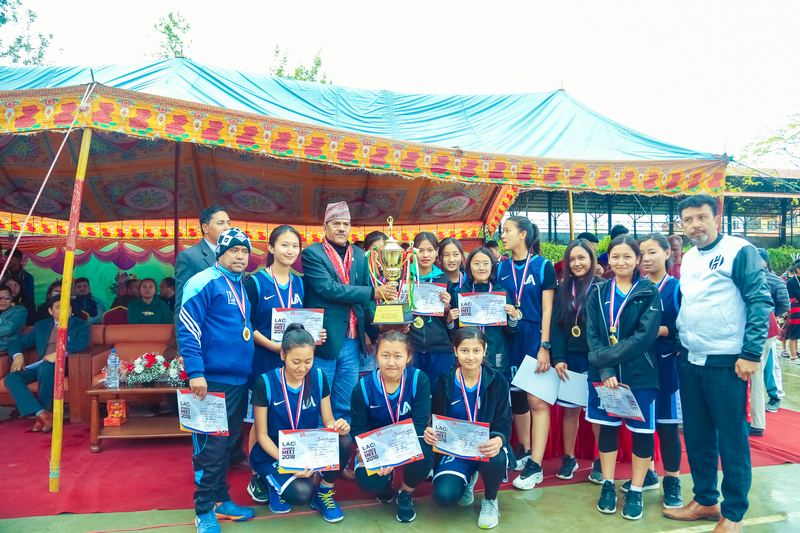 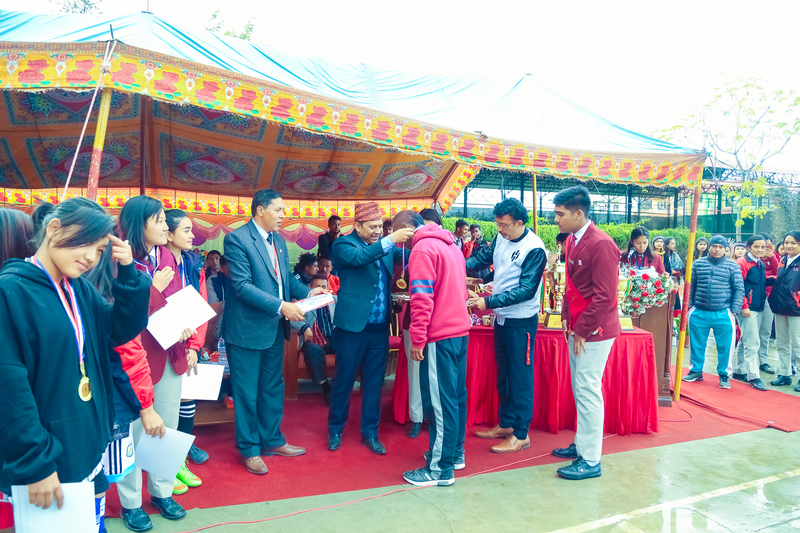 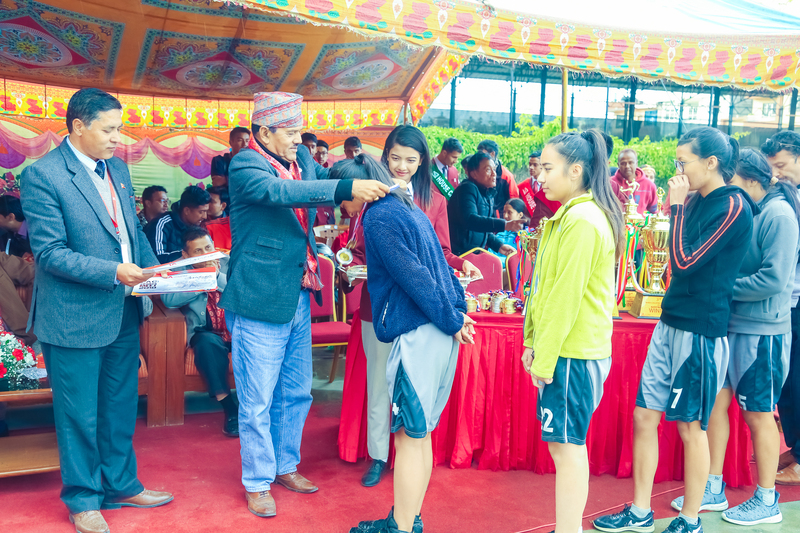 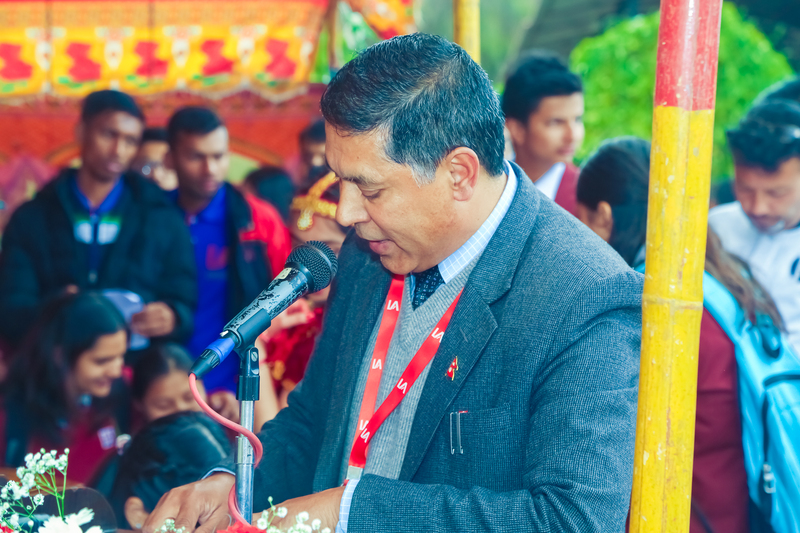 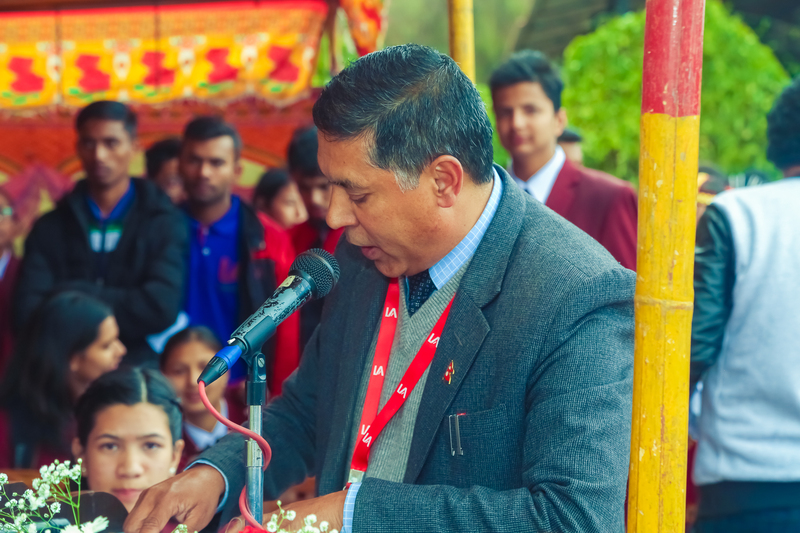 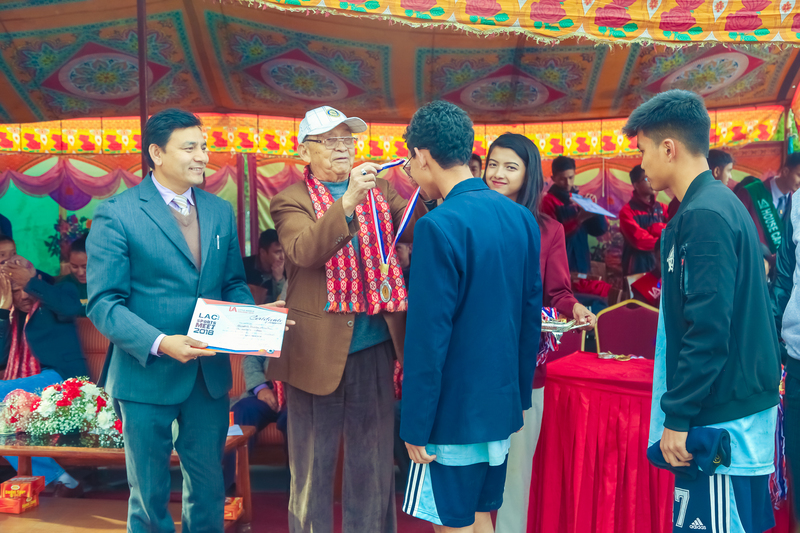 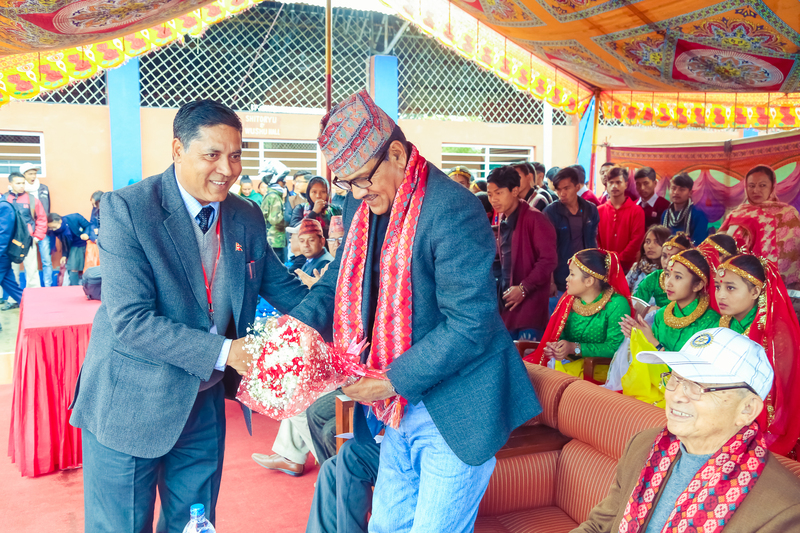 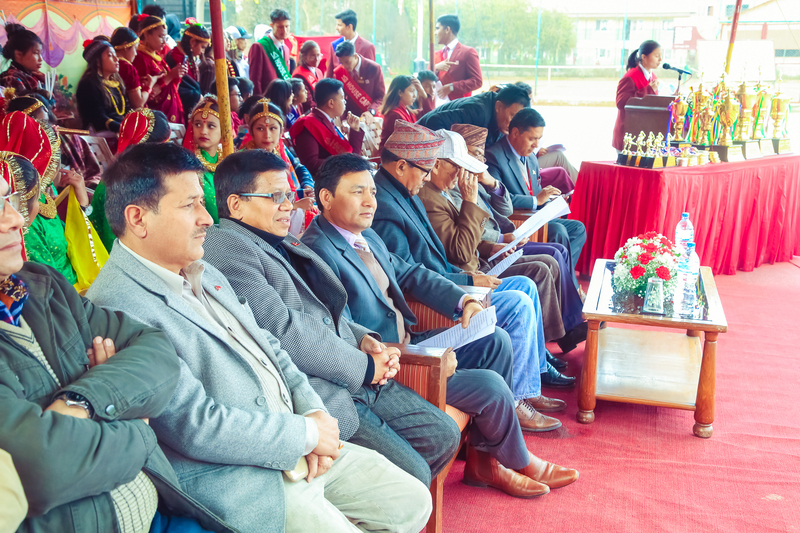 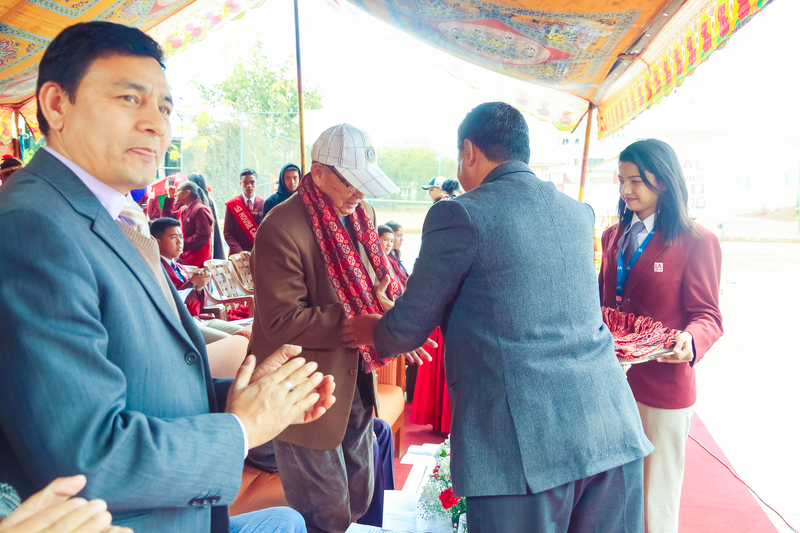 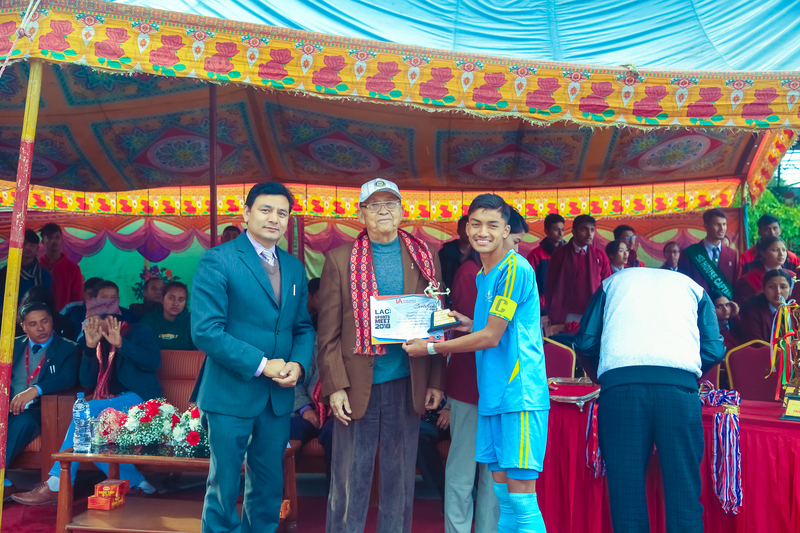 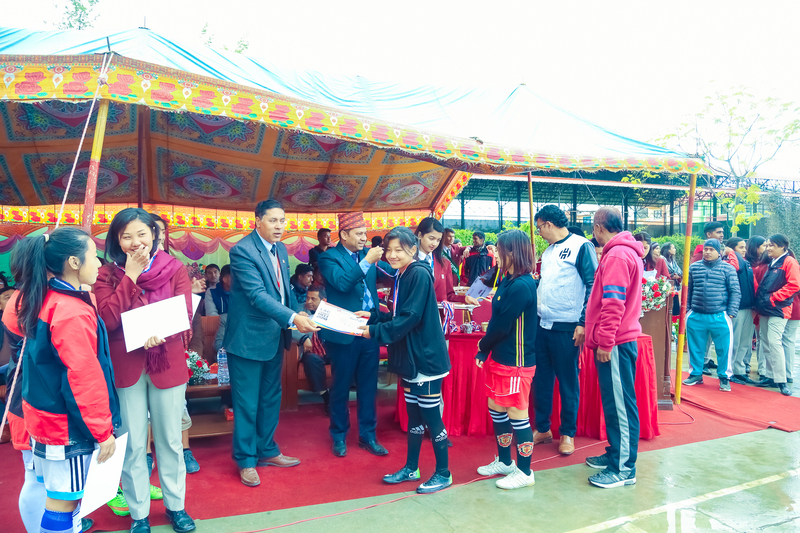 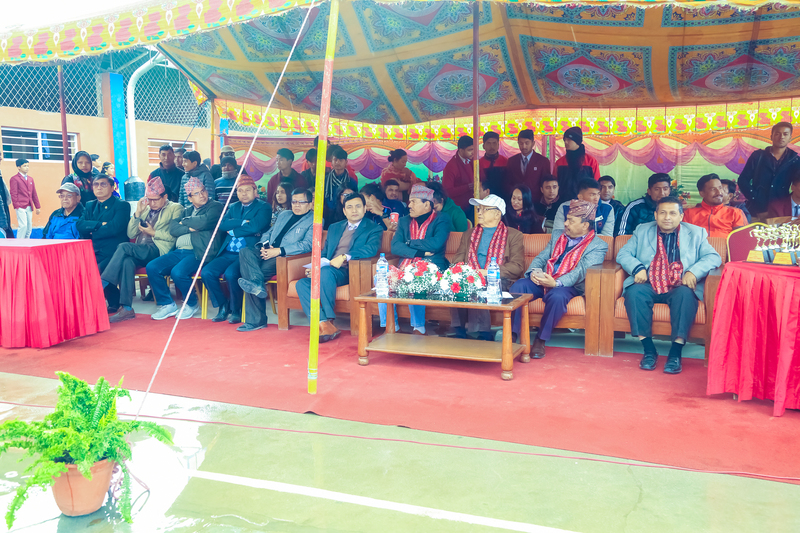 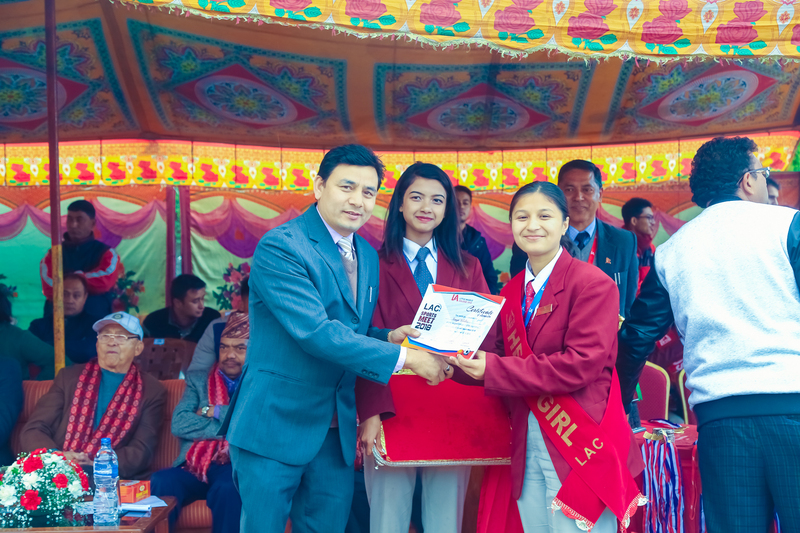 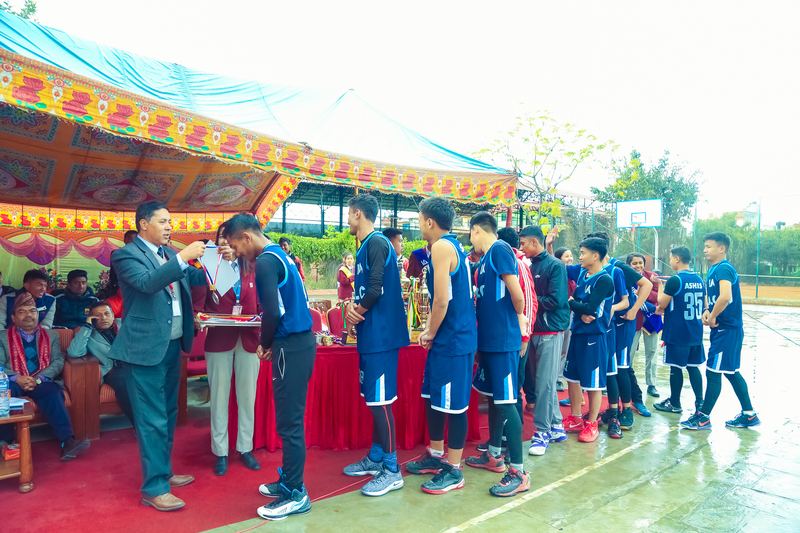 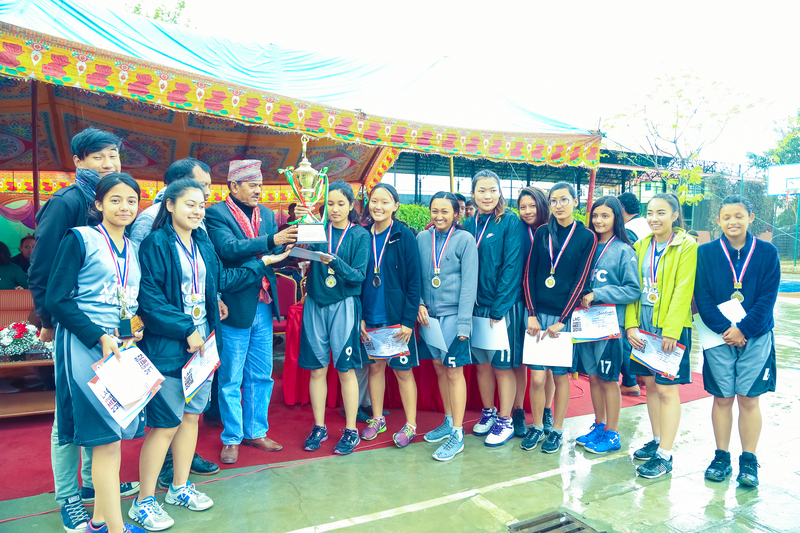 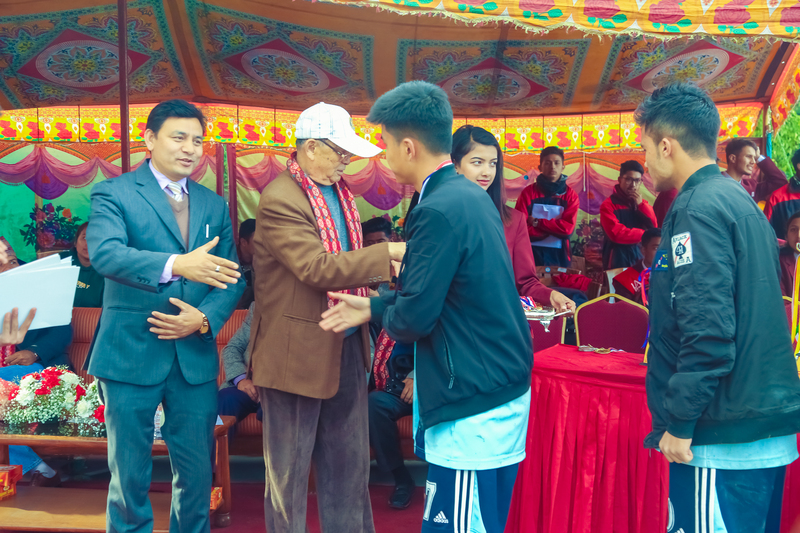 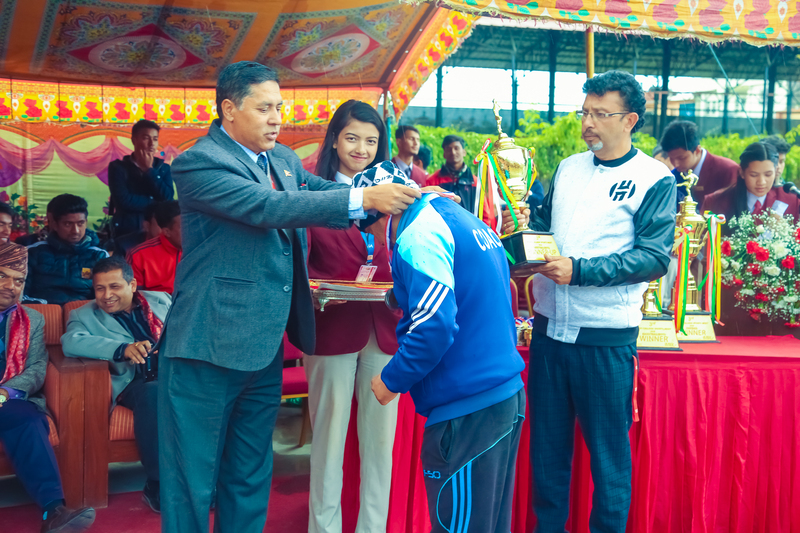 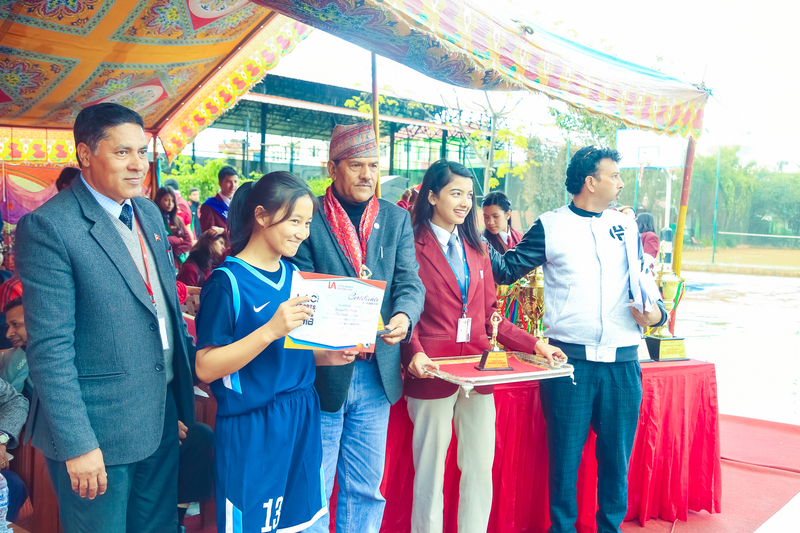 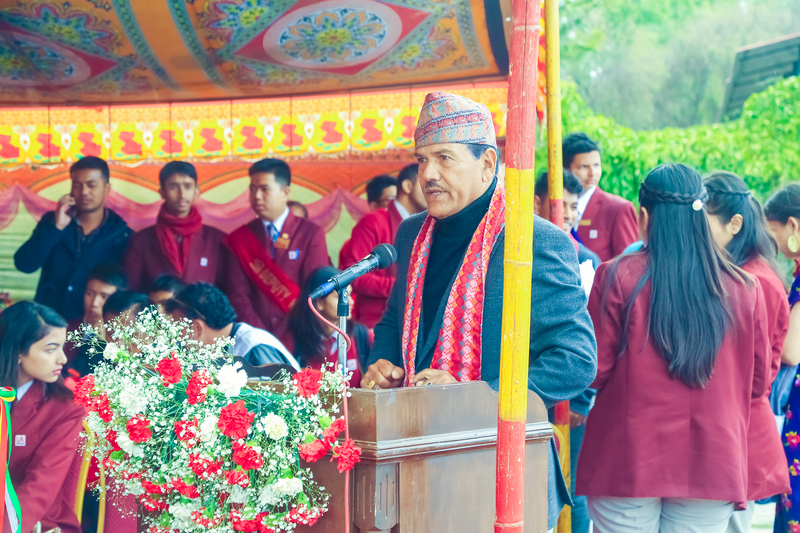 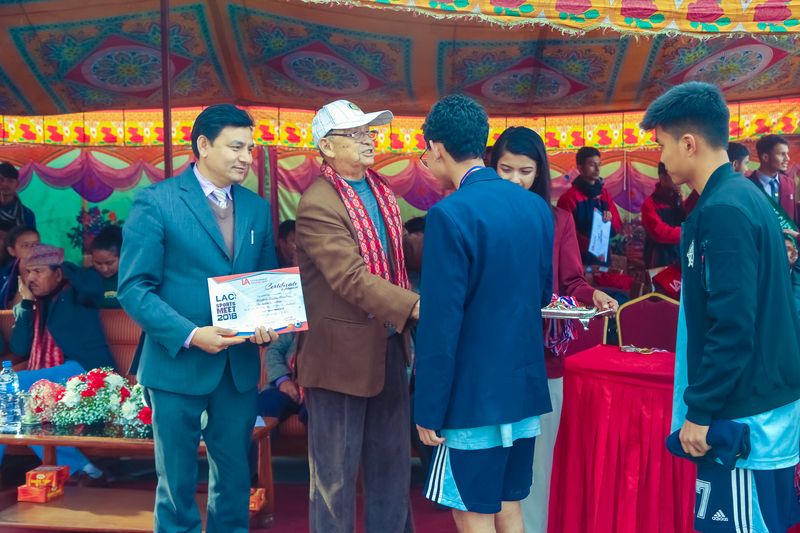 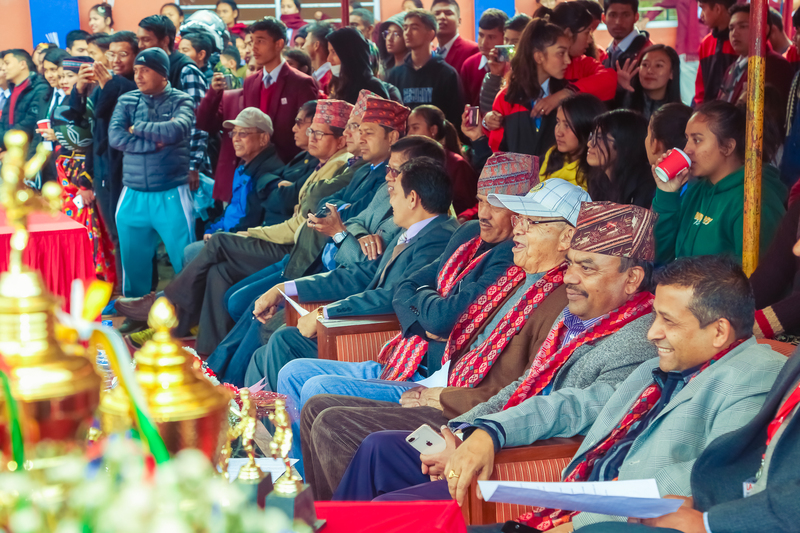 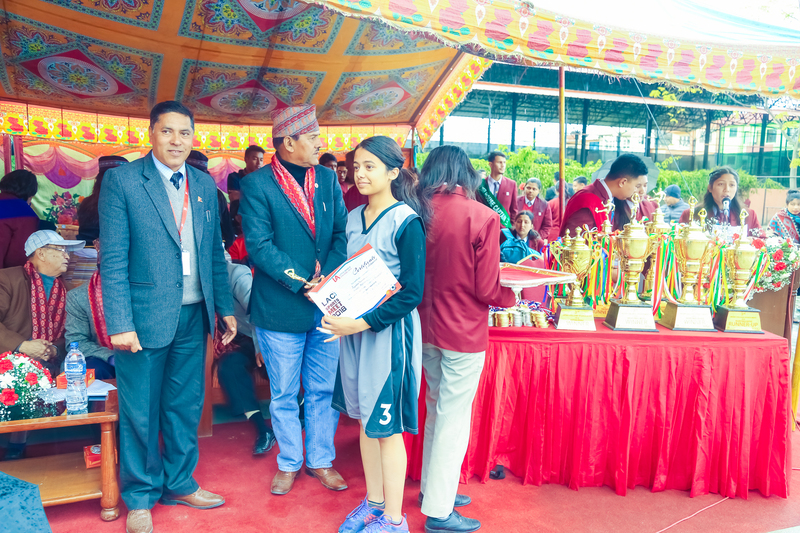 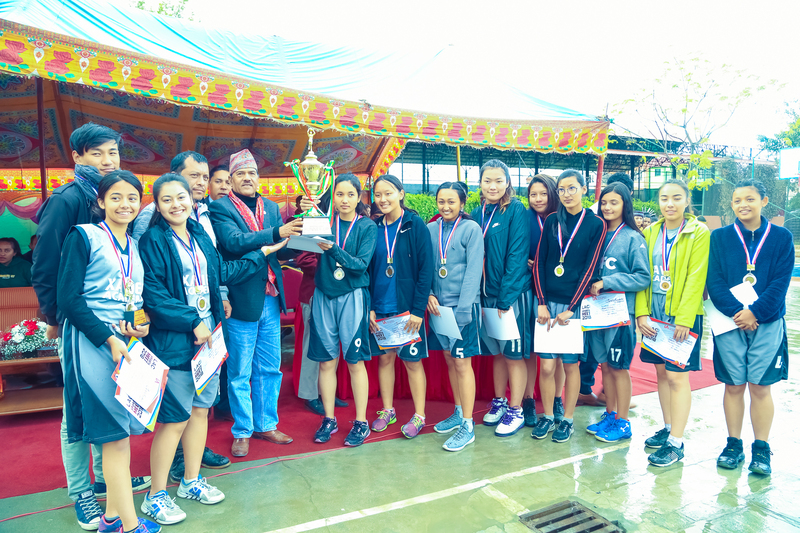 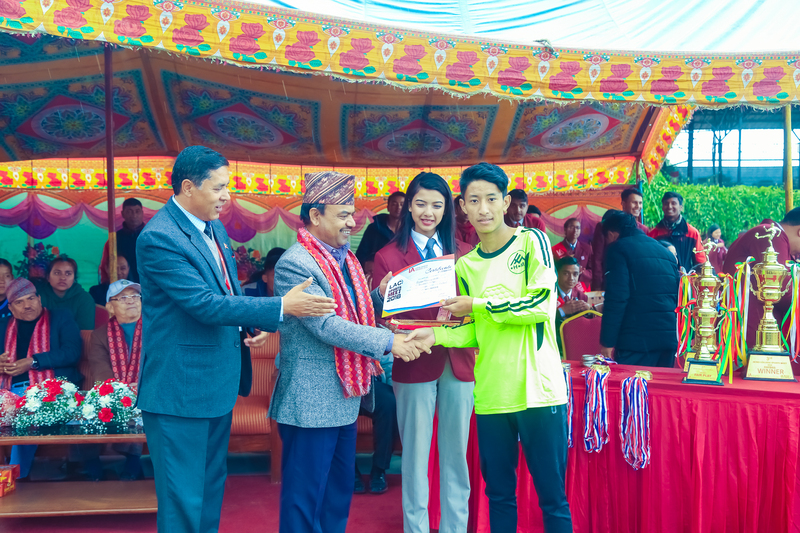 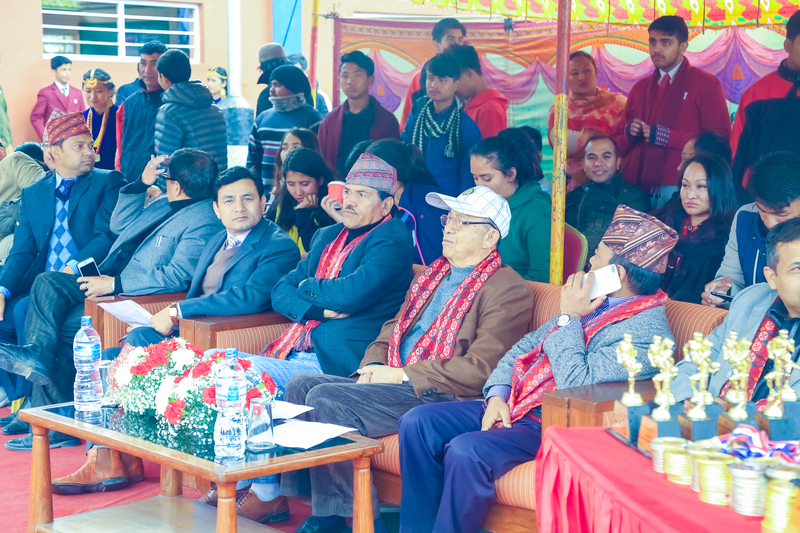 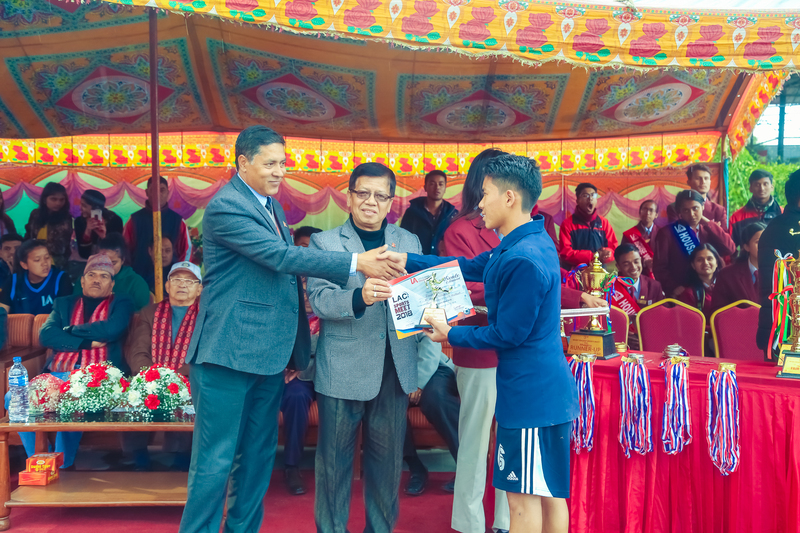 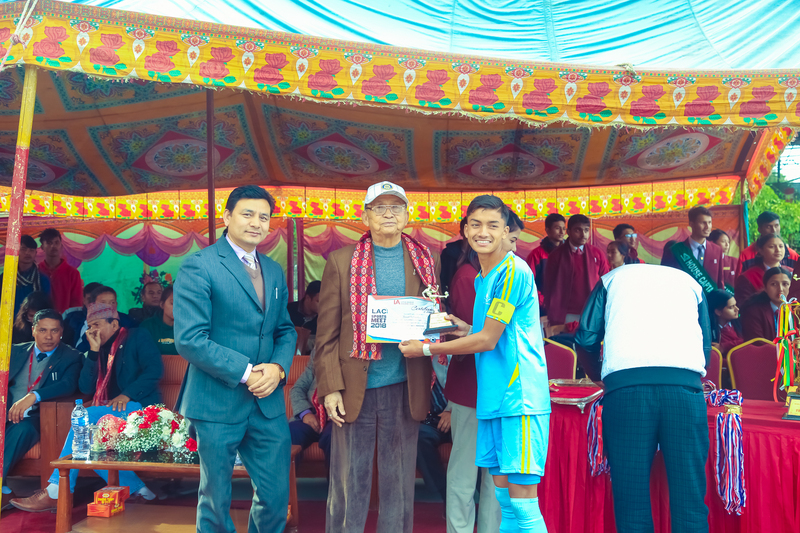 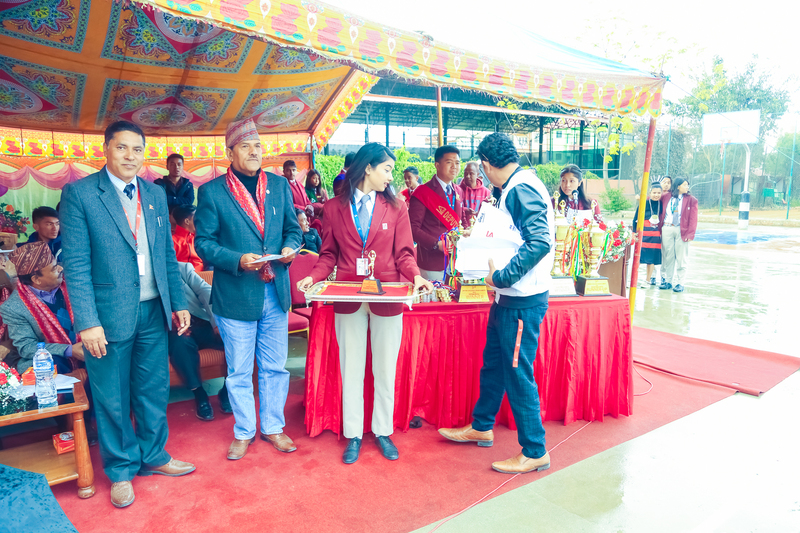 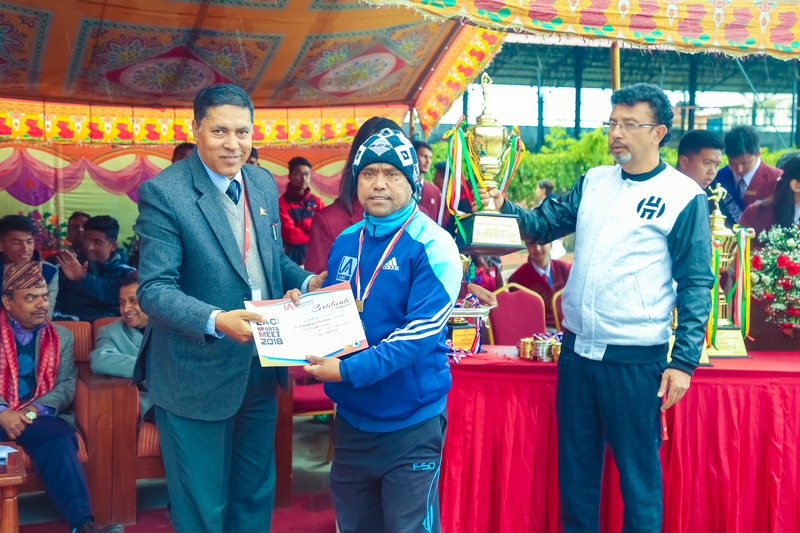 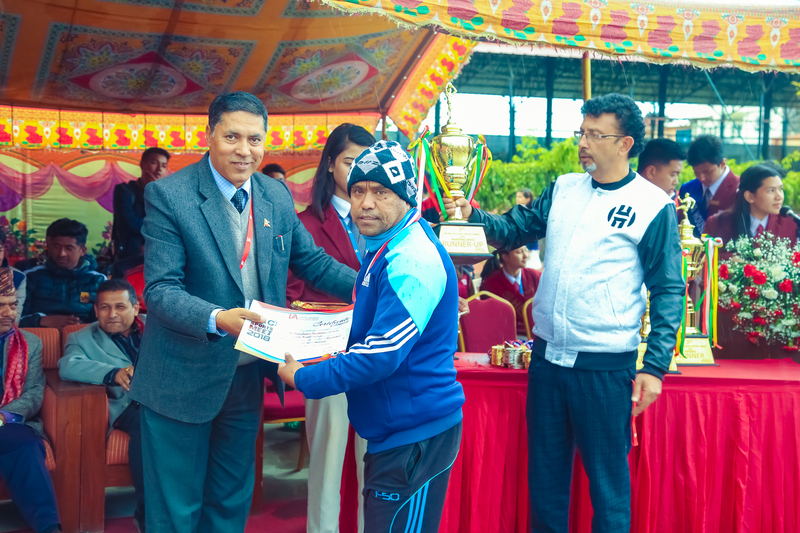 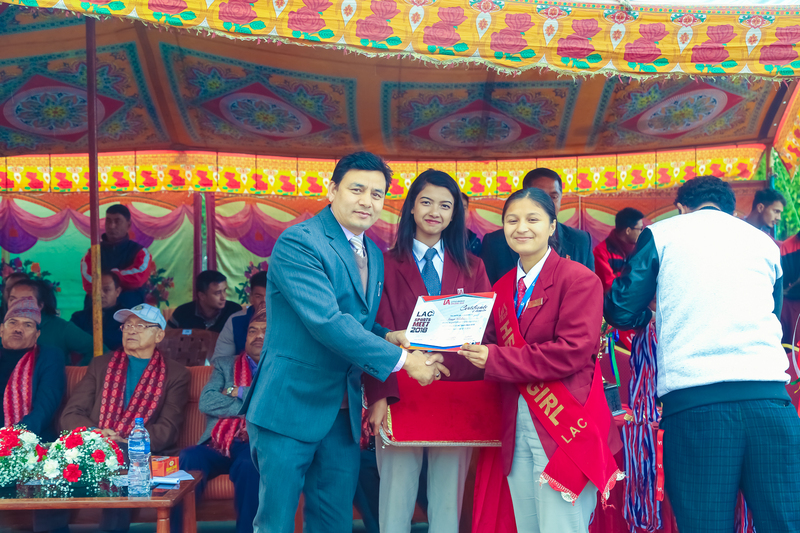 The Chief Guest; Mr. Krishna Bahadur Thapa, Vice President, ANFA and dignitaries of LA conferred the prizes. 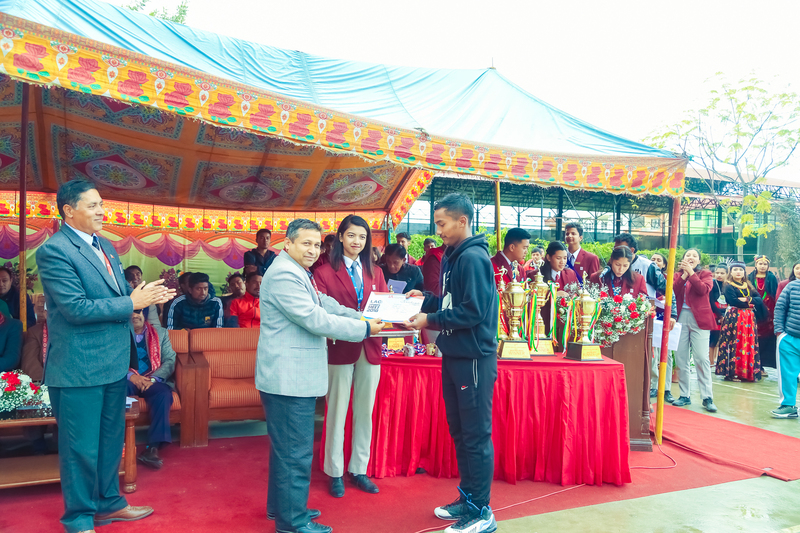 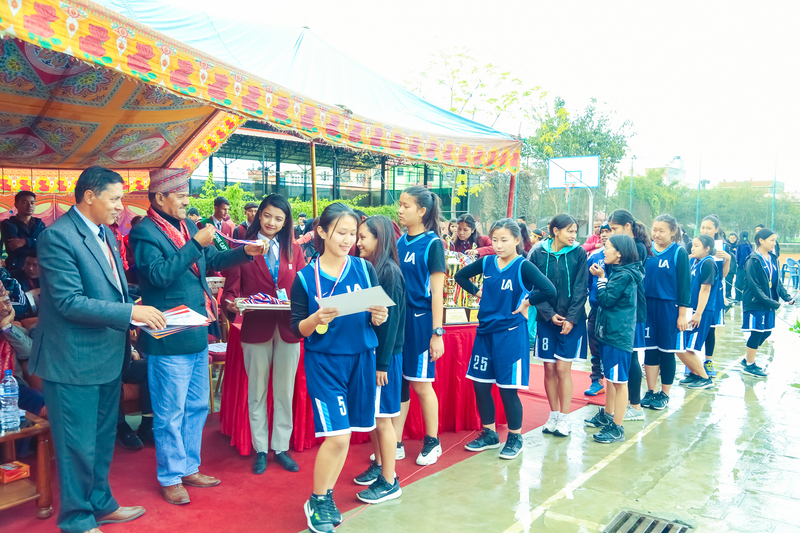 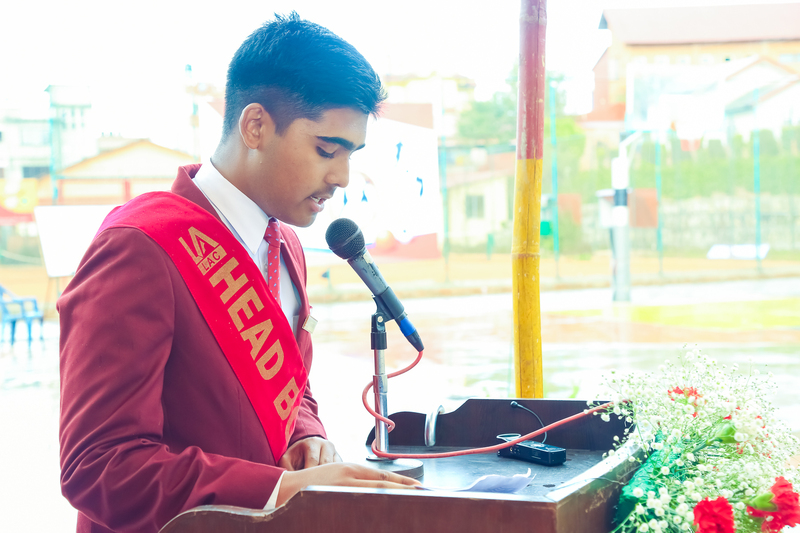 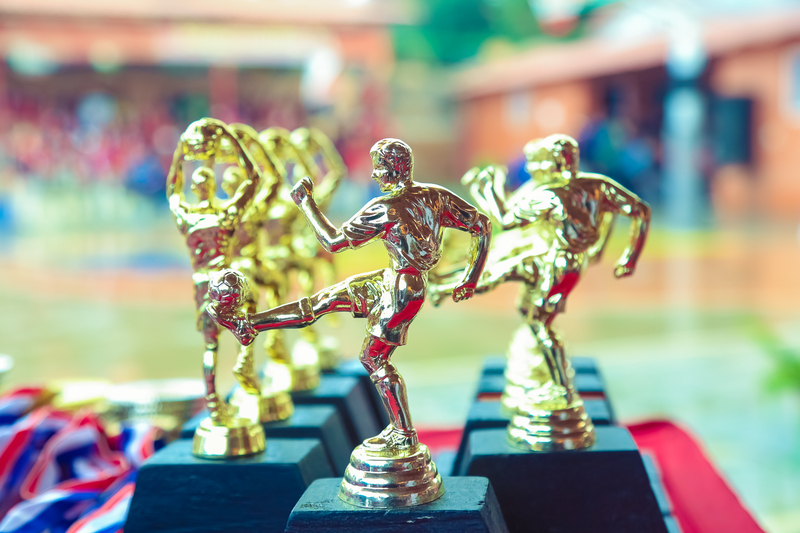 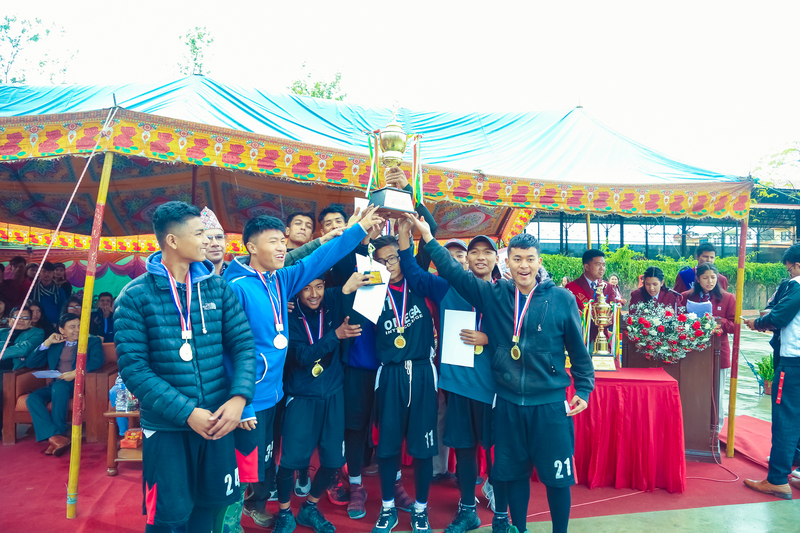 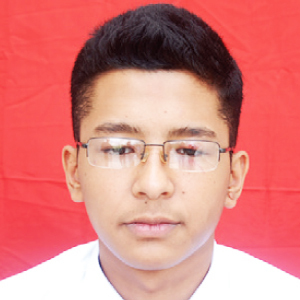 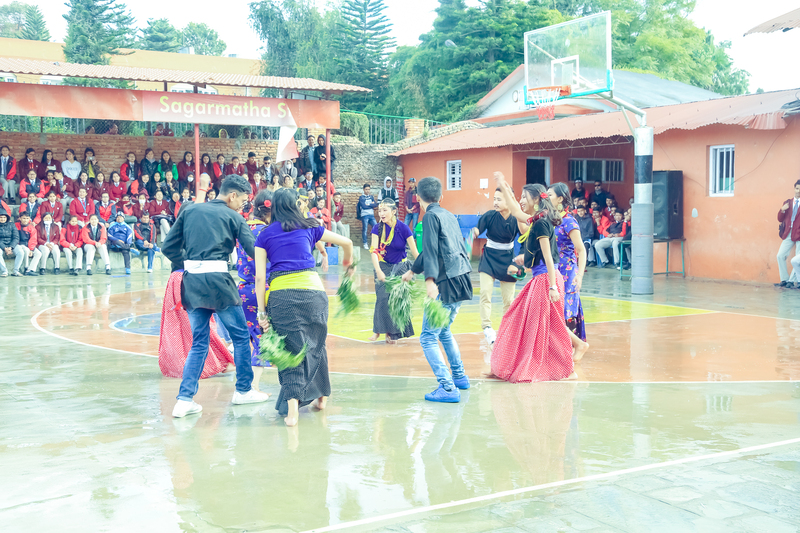 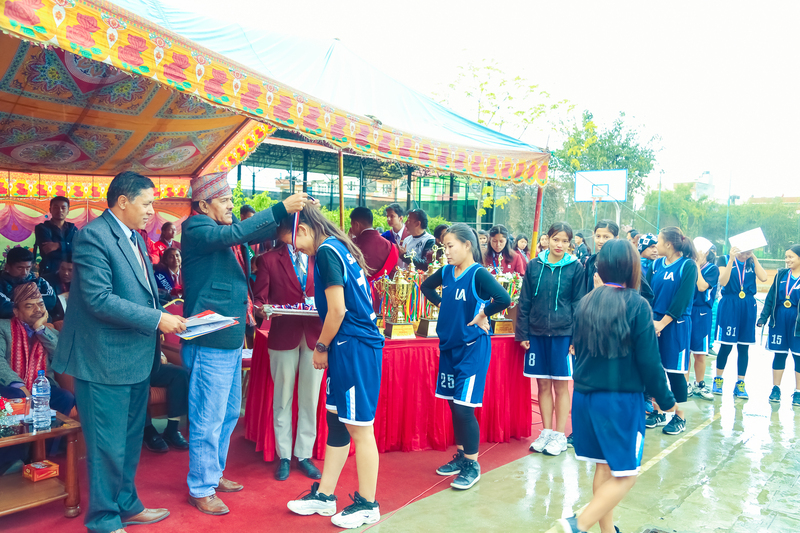 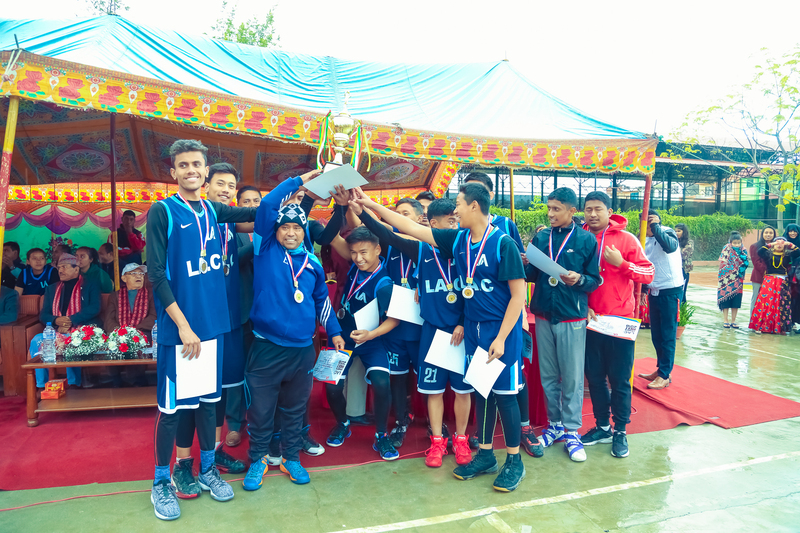 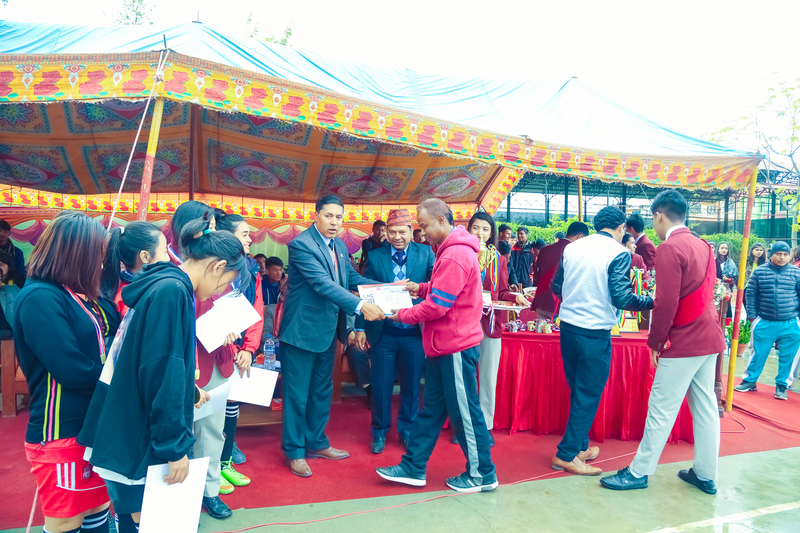 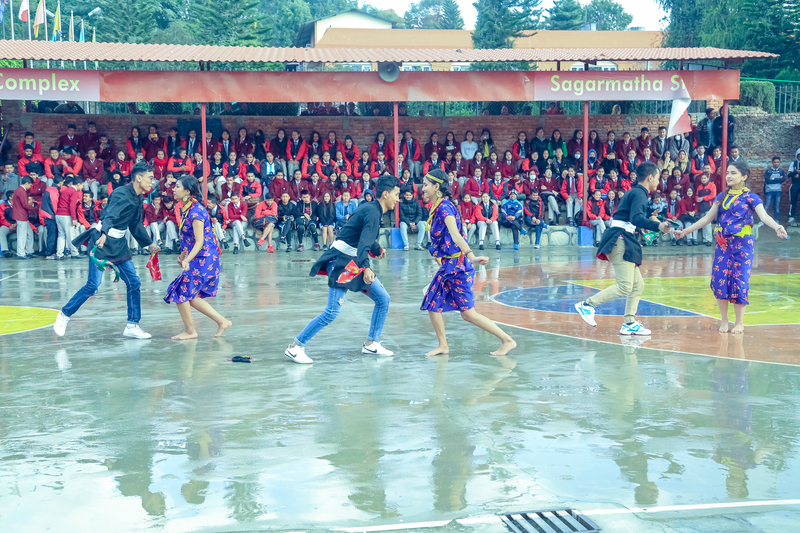 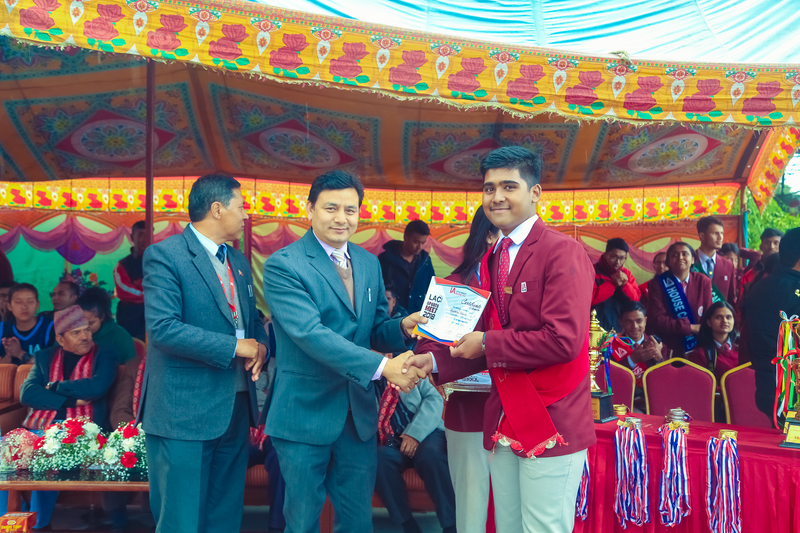 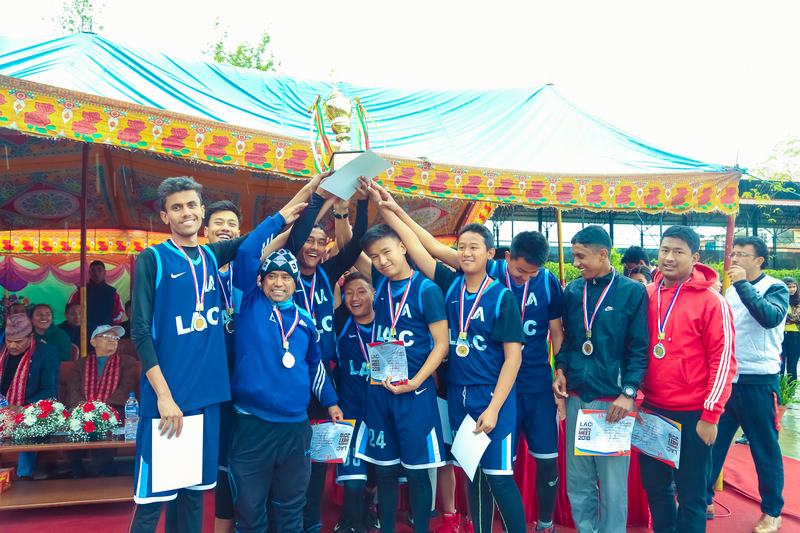 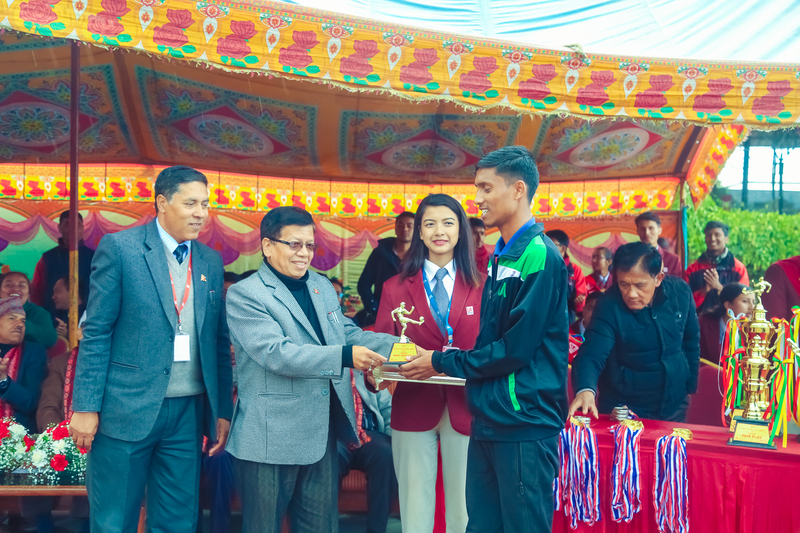 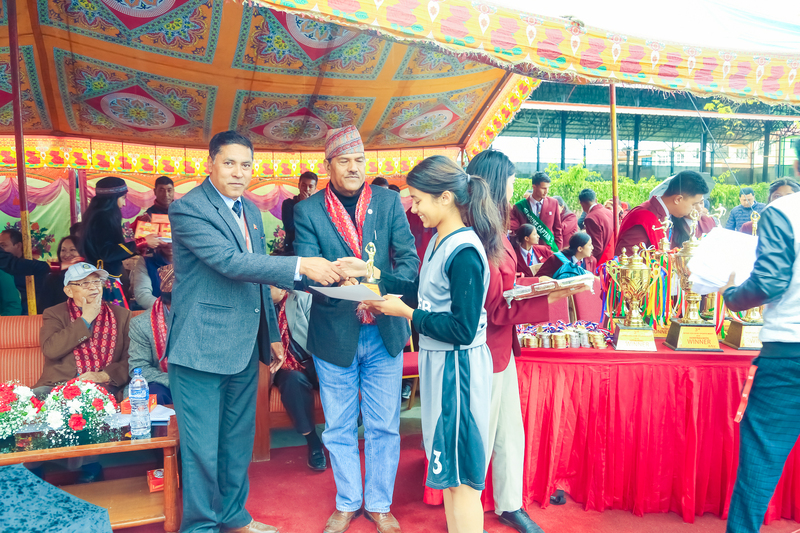 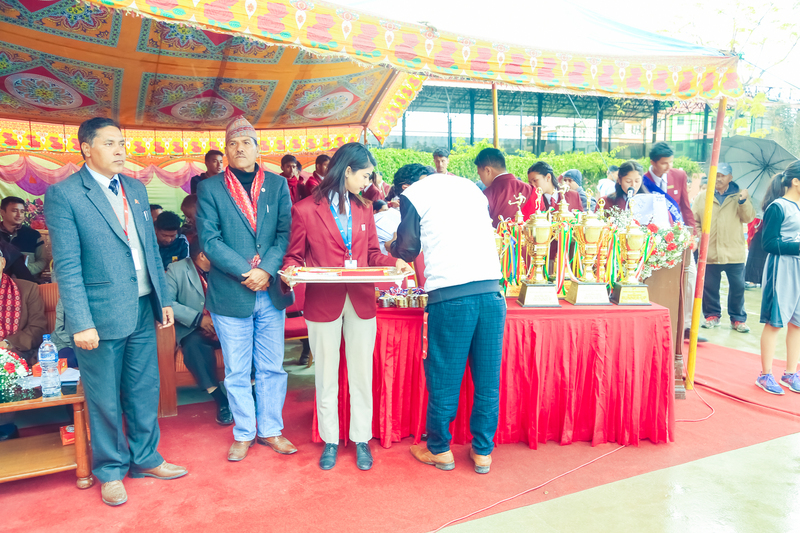 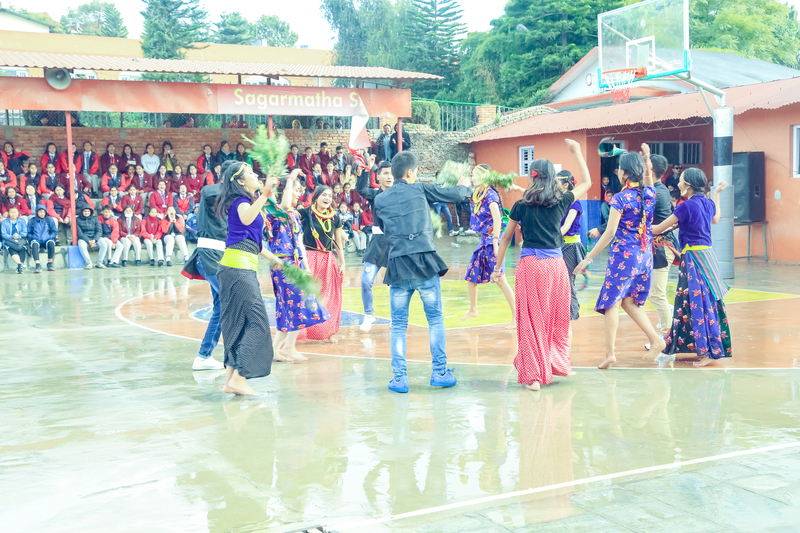 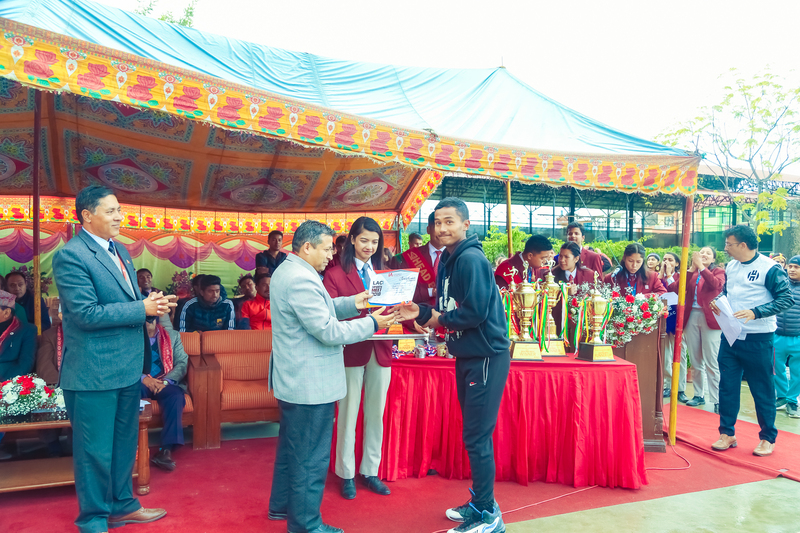 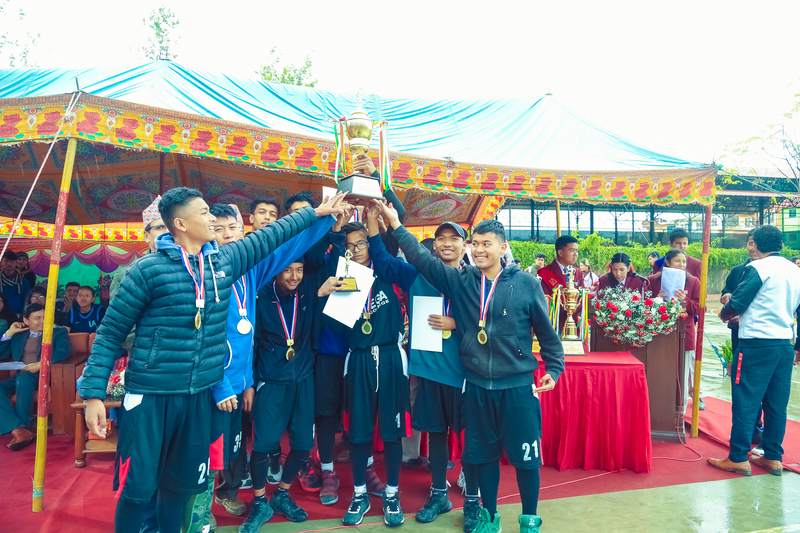 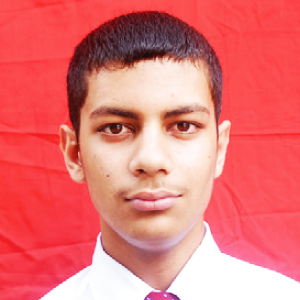 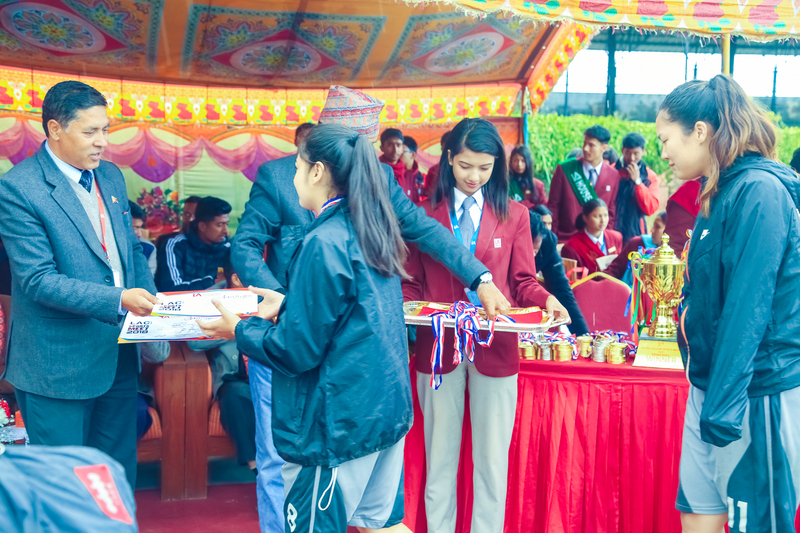 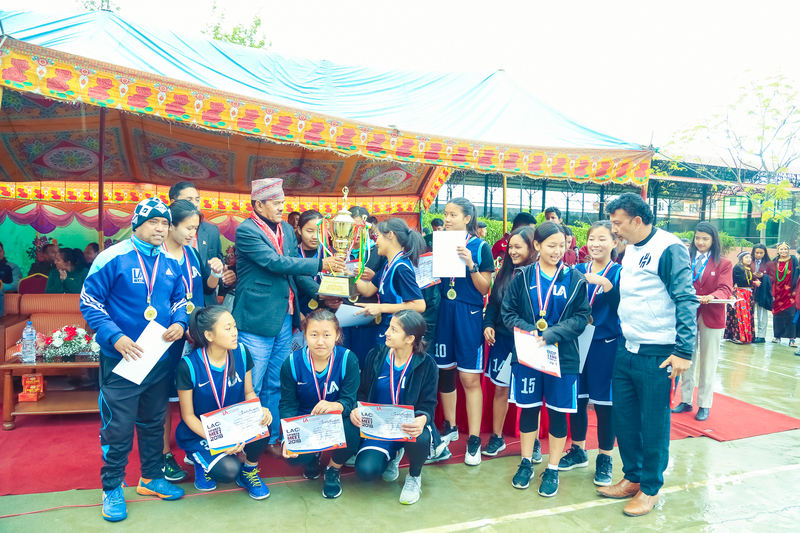 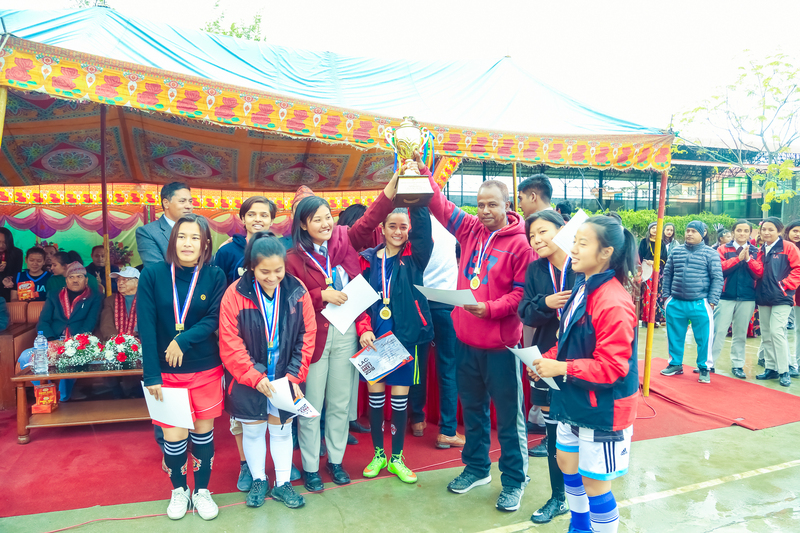 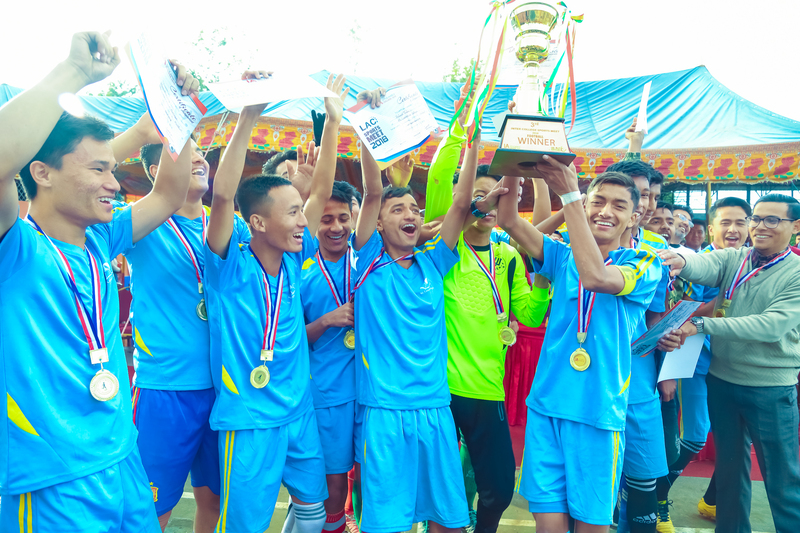 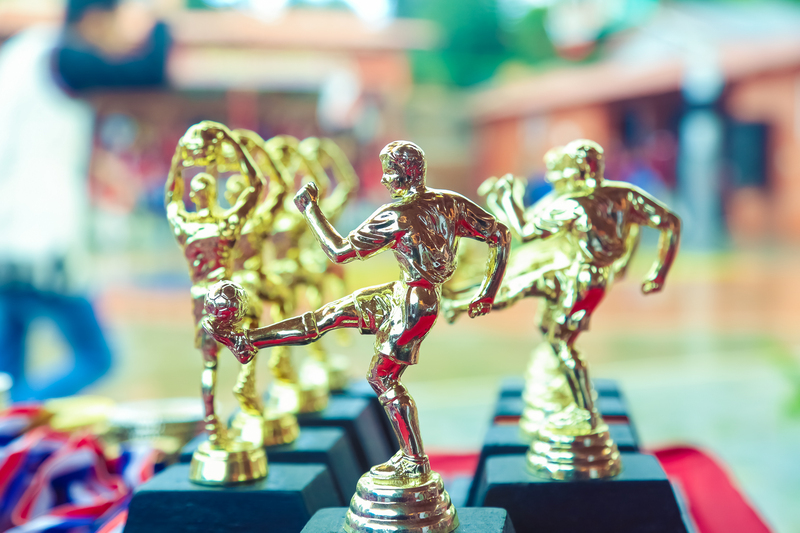 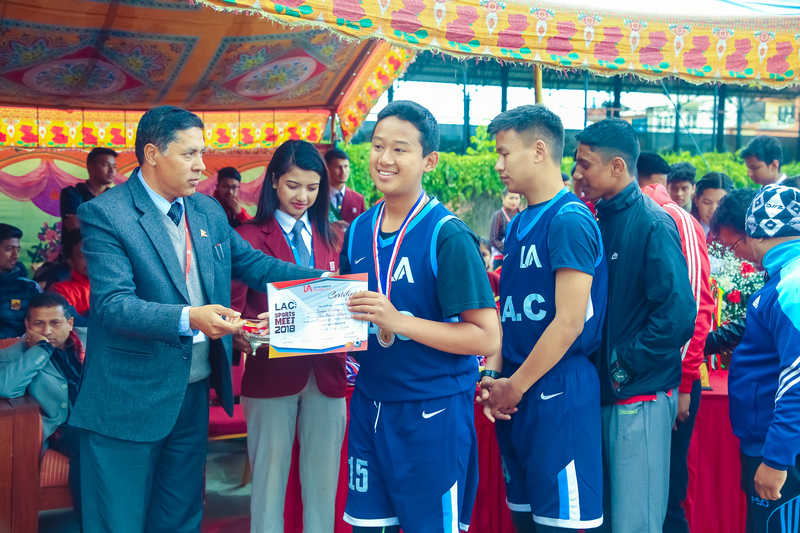 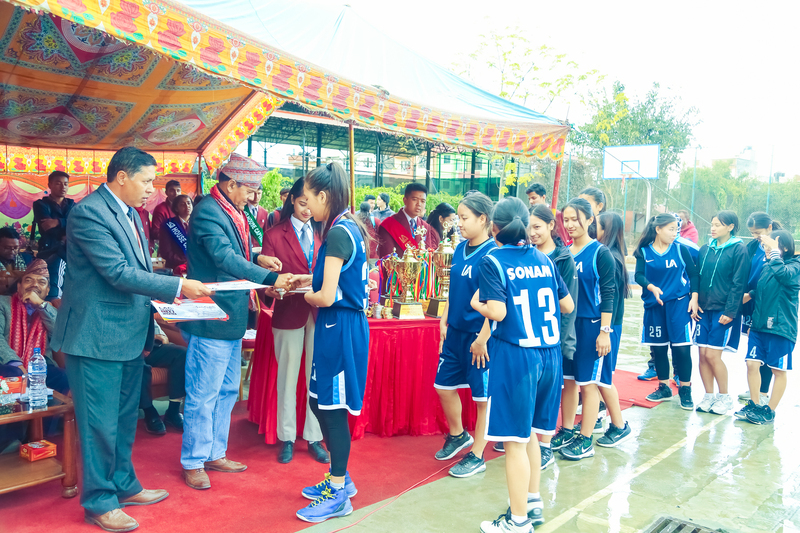 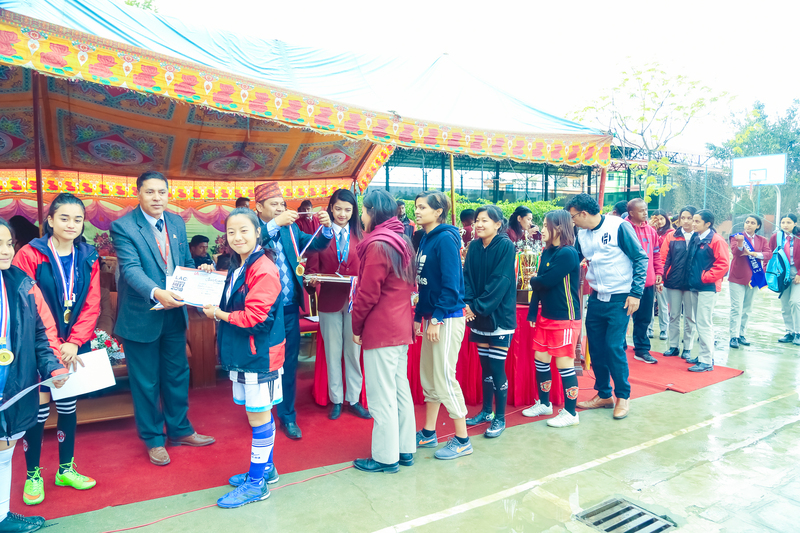 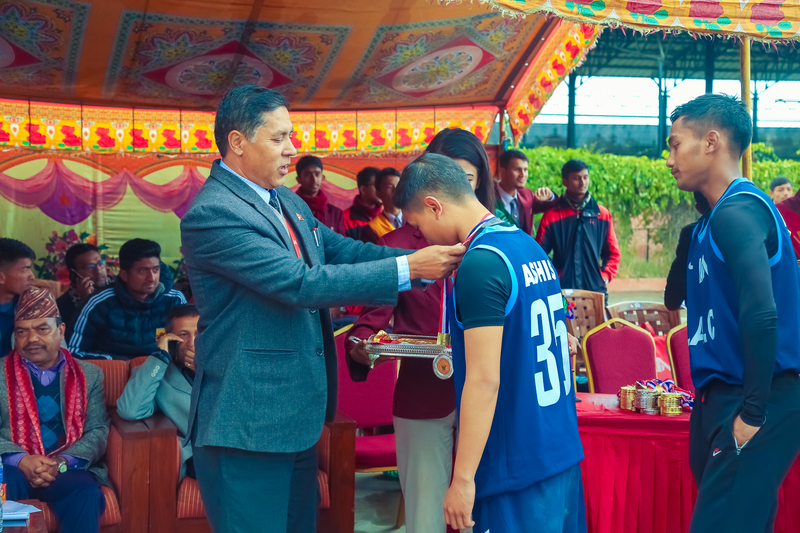 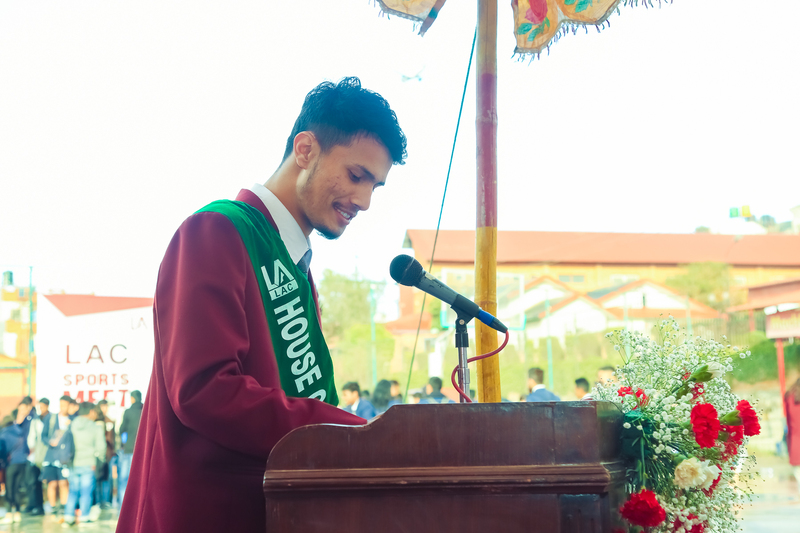 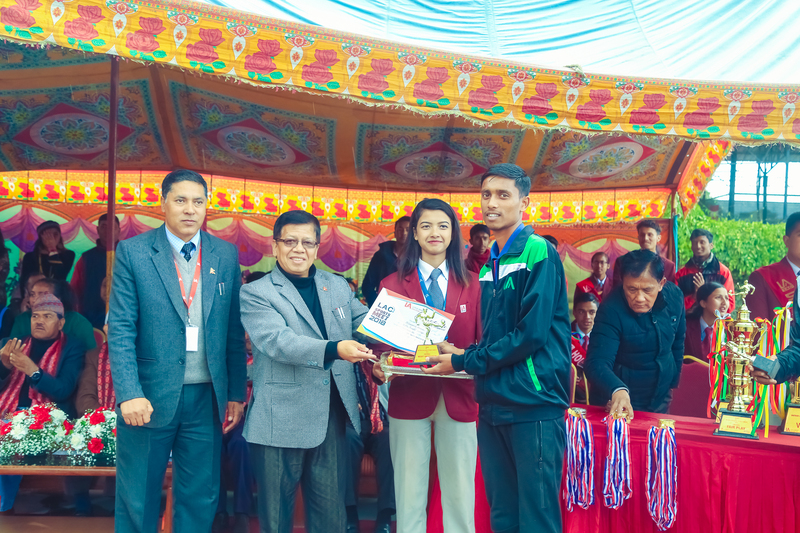 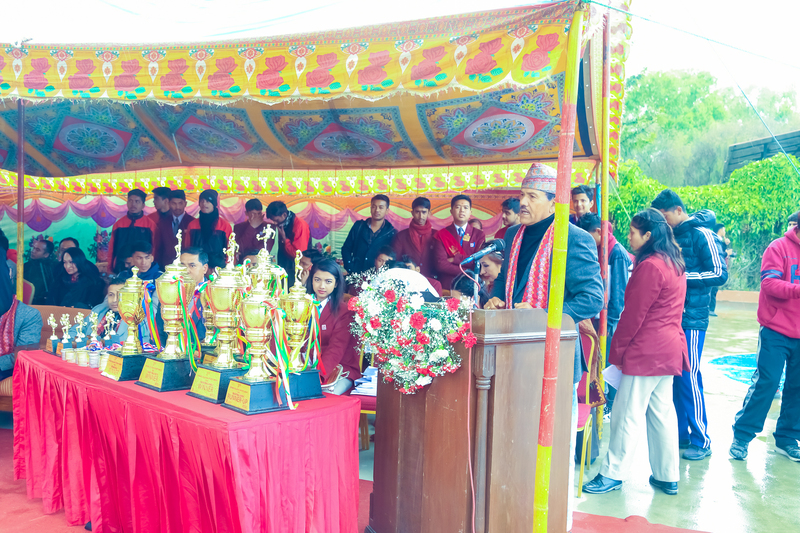 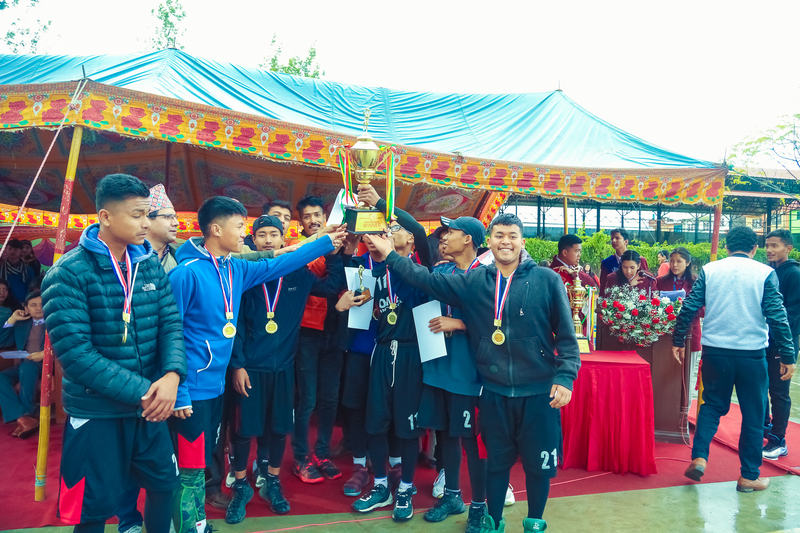 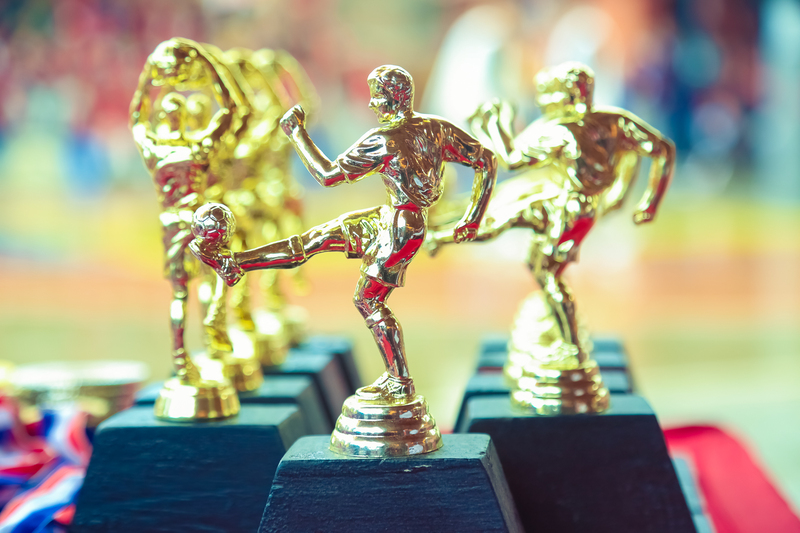 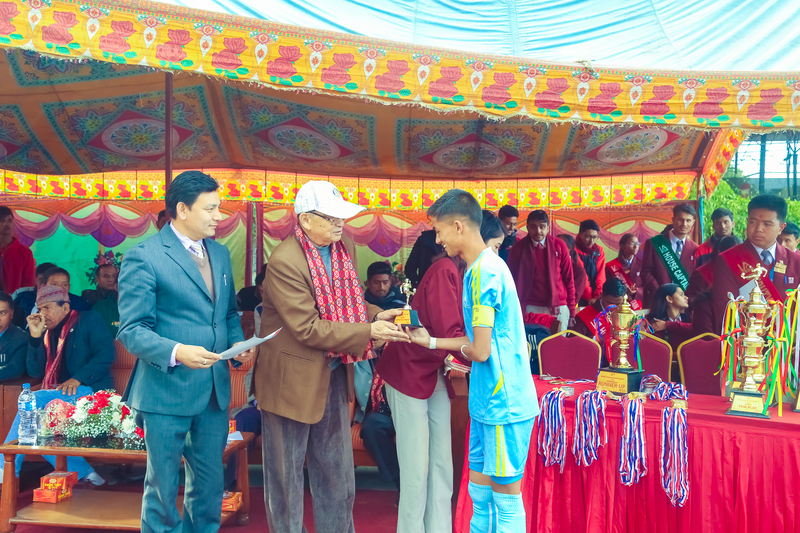 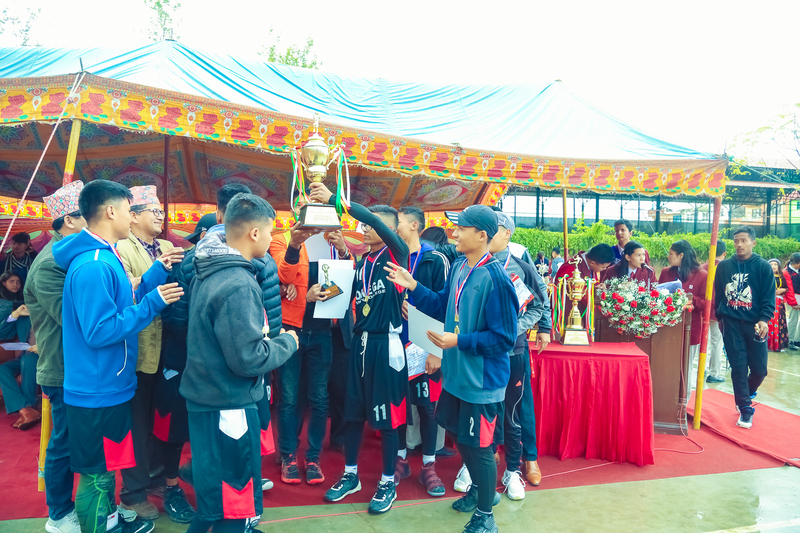 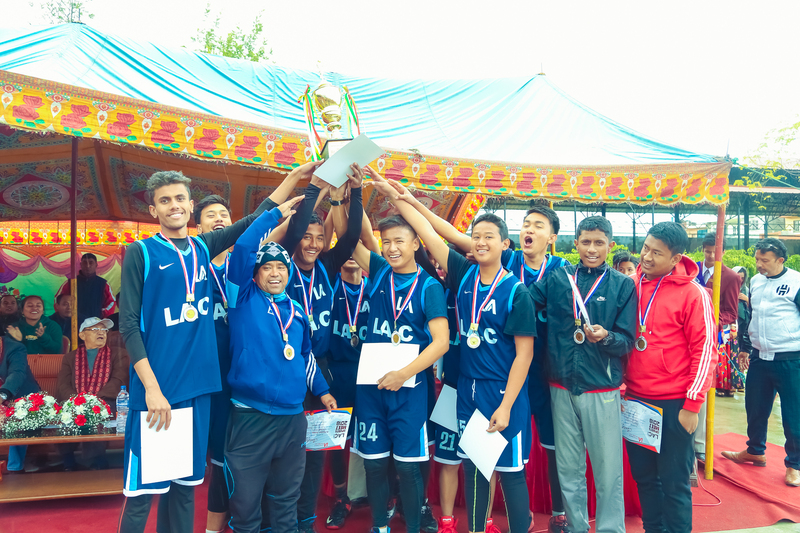 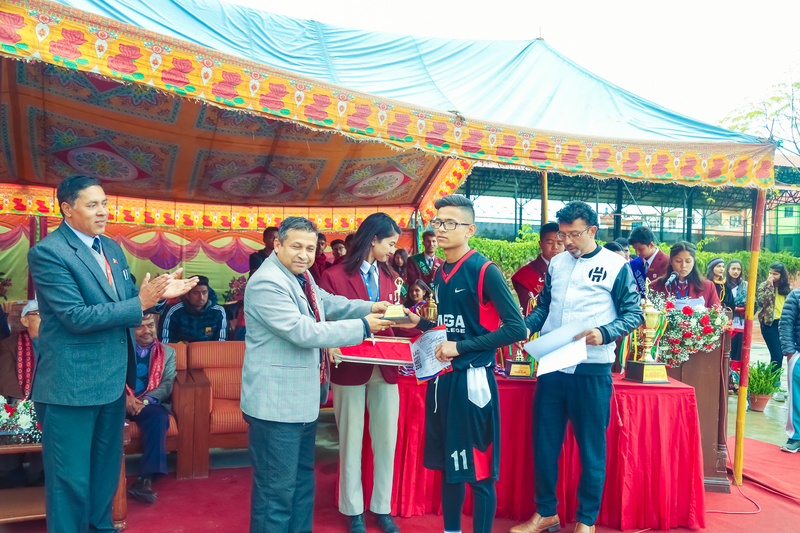 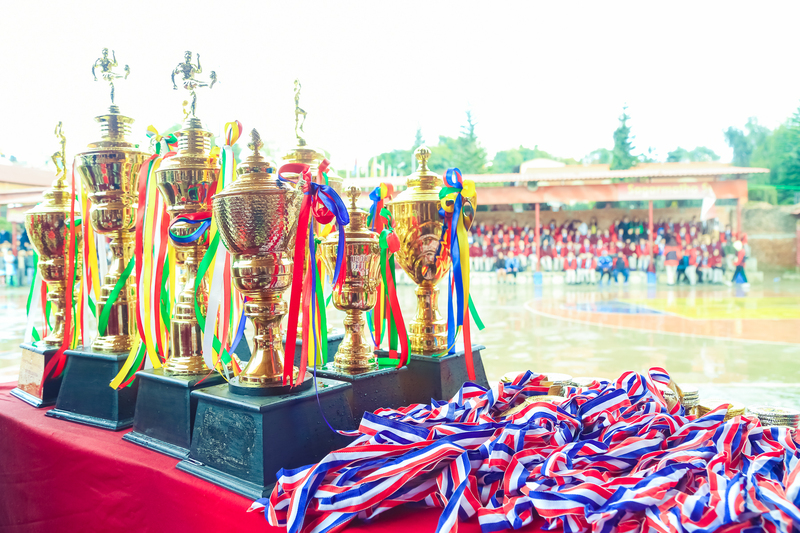 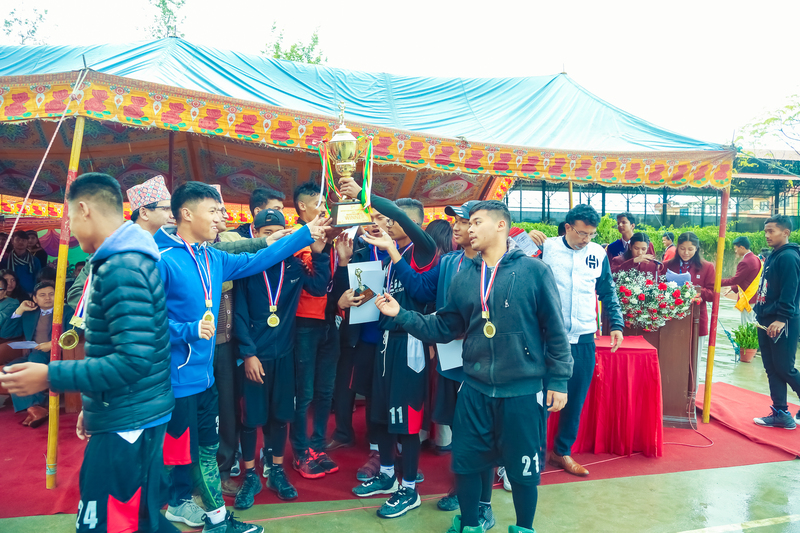 The winners in various categories were Football (Boys); St. Lawrence, Runner-Up; St. Xavier, Jawalakhel. 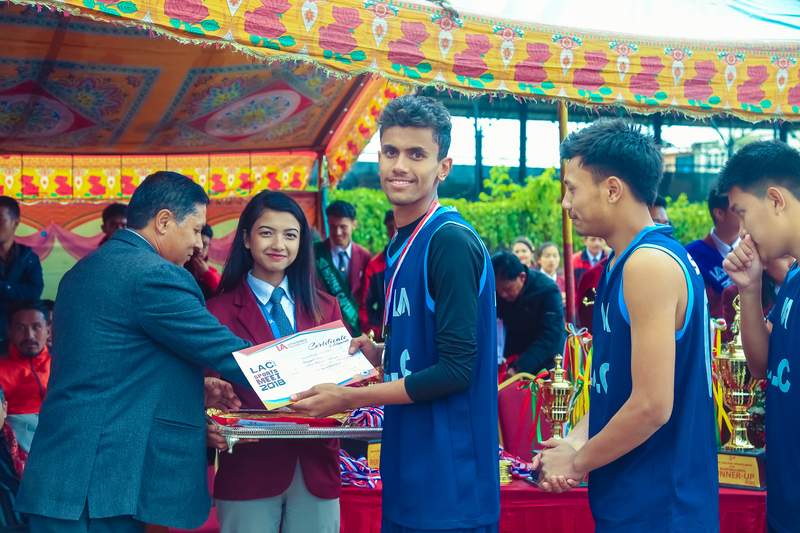 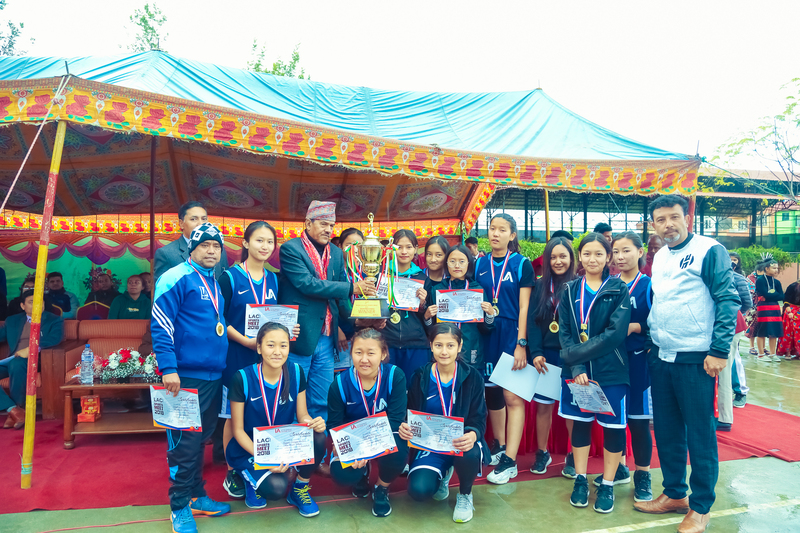 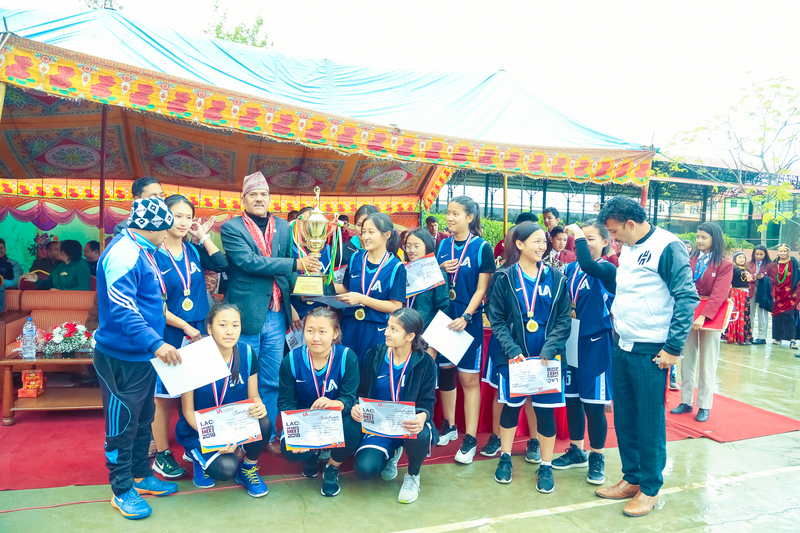 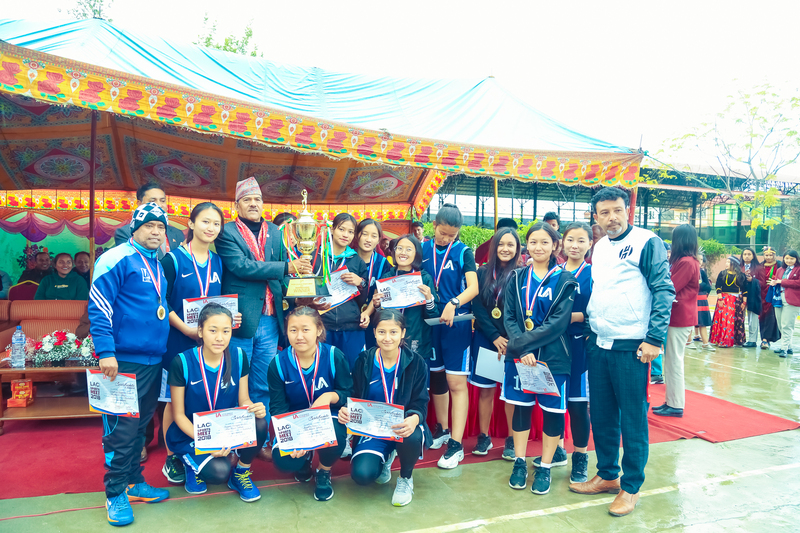 Futsal (Girls), Winner; Little Angels’ College, Runner-Up; DAV, Basketball (Boys), Winner; Omega College, Runner-Up; Little Angels’ College. 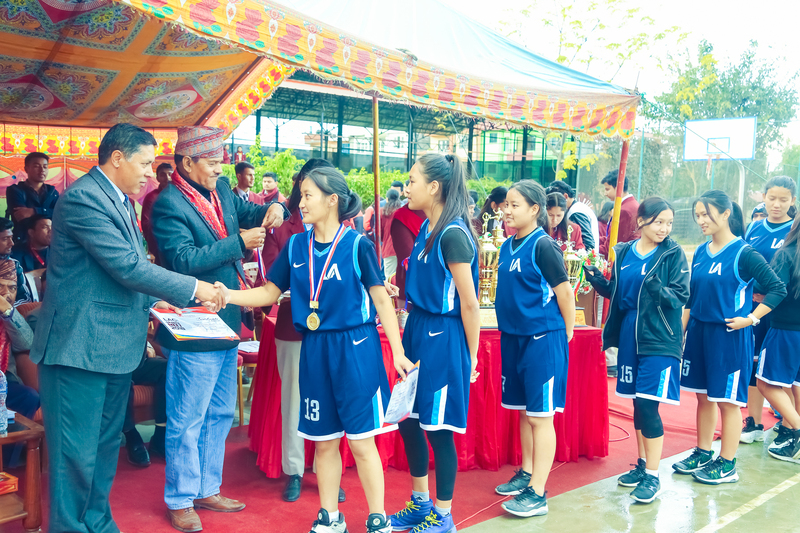 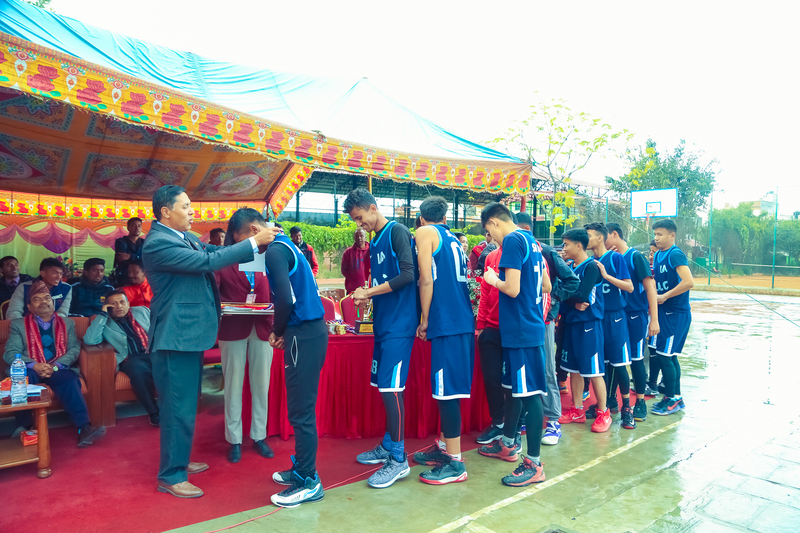 Basketball (Girls), Winner; LAC, Runner-Up; Xavier Academy. 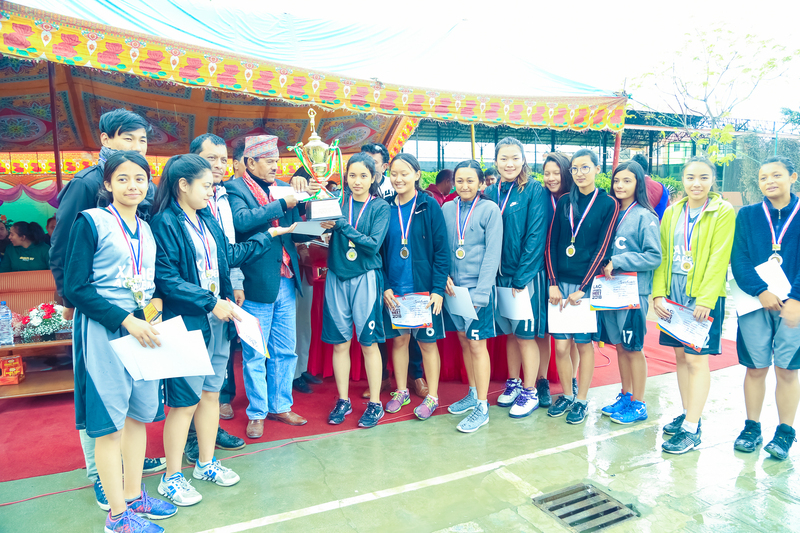 Hearty Congratulations to LA Angels (Girls) your outstanding performance in the field was a real tour de force!